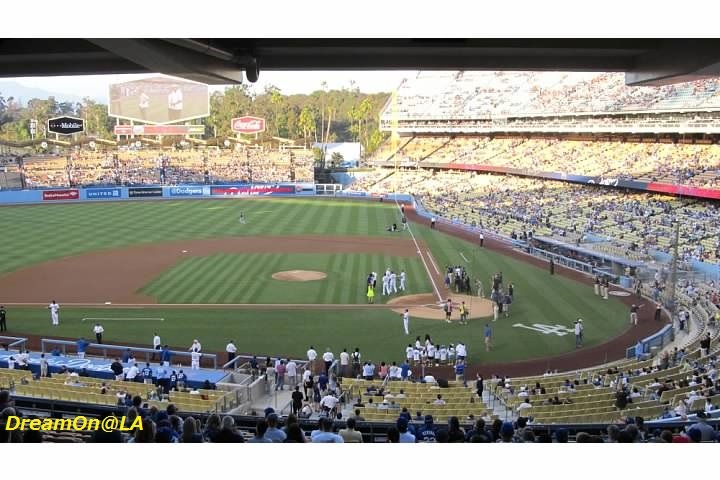 LA Dodgers vs Colorado Rockies Game: We went to watch the baseball game on 7-12-2013. They show fireworks after the game every Friday. We were invited to the game, thanks to a worker for the Colorado Rockies team. The baseball game started at 7:15 pm. It was so beautiful with clouds and the sunset around 8:15 pm. 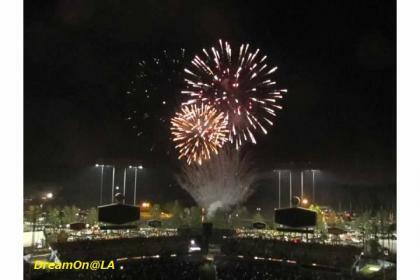 They did a firework show after the baseball game for about 10 minutes from around 10:20 pm. 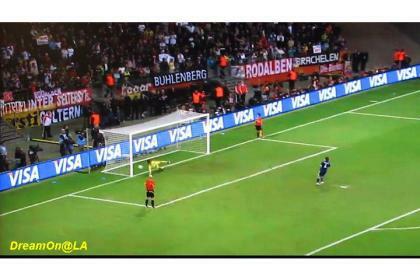 I will attach a video clip I took there at that time. It's about 2 minutes 50 seconds. 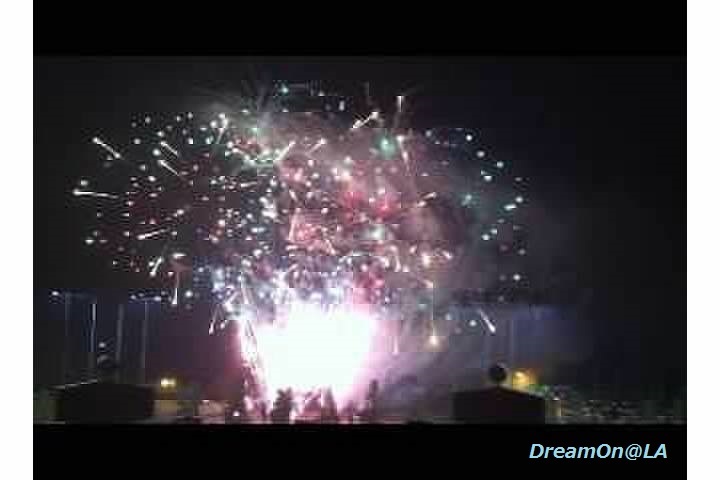 It was performed with music, and very nice firework show! 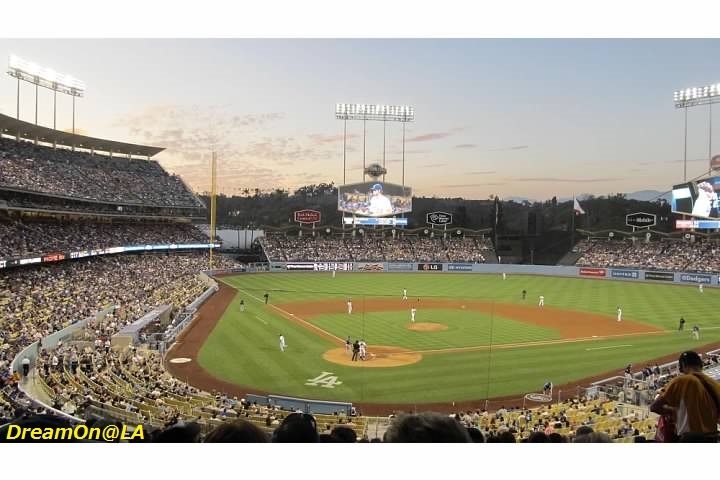 Lisaky777 Published 8-1-2013: We went to LA Dodgers vs Colorado Rockies baseball game on Friday, 7-12-2013. 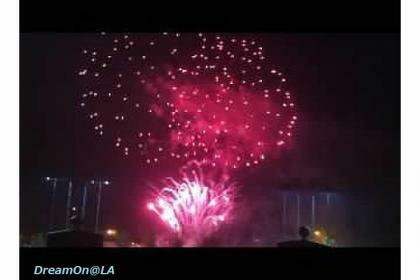 LA Dodgers Stadium performed a firework after the game. It was beautiful. 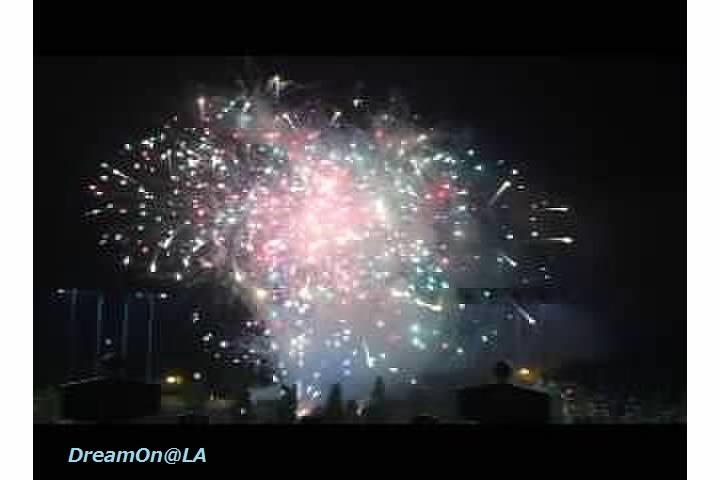 NY Yankees team played there with LA Dodgers from Monday to Wednesday (7/29~7/31) this week. Japanese players, Ichiro Suzuki and Hiroki Kuroda belong to NY Yankees. The pitcher Hiroki Kuroda used to belong to LA Dodgers from the year 2008 to 2011. 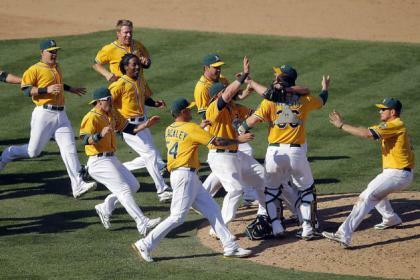 Oakland Athletic's Won AL West: MLB Oakland Athletics matched with Texas Rangers 4 times, double header games for 2 days on Oct 2 and 3, 2012. Texas Rangers won the first game. Oakland won the remaining 3 games and won the American League West title. Rangers has the highest payroll tab among American League West teams. Rangers were beaten 3 games in a row by Athletics, the team having the lowest payroll tab in the same division. The famous and great General Manager on the movie "Money Ball" is still with the Oakland team. 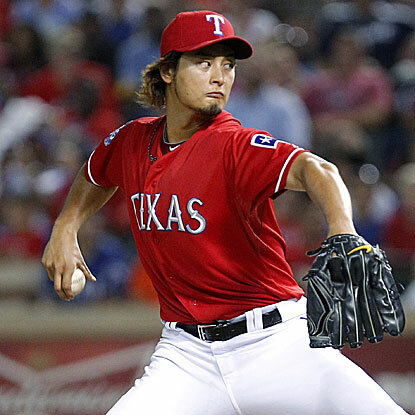 Yu Darvish of Rangers will be the starting pitcher for the wildcard game against Orioles on Oct 5. The 26-year-old Darvish is 16-9 with a 3.90 ERA in 29 starts and 191 1-3 innings in his first major league season after a stellar career in Japan. The 6-foot-5 right-hander has 221 strikeouts to just 89 walks and was an All-Star. On September 23, 2011, we went to watch a baseball game between Oakland Athletics and LA Angels. I did not wrote an article on the blog, yet. 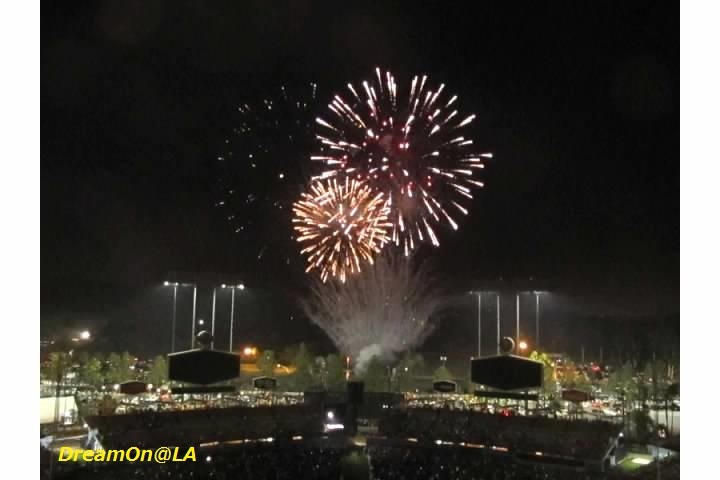 You can enjoy Firework shows after a game on Friday at most of Major League baseball games. We enjoyed a fireworks show that day, too. He started to play at MLB very late this year due to Visa issue. His hitting statistics was not that good, and he was released from a team on August 1, 2012. I heard he has been training in New York ever since. I wonder what he will do next year. 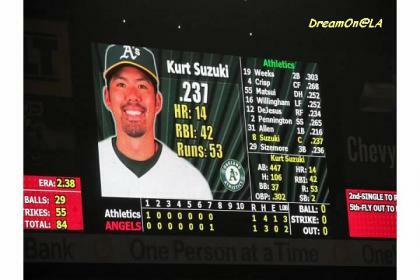 Last year a California born catcher, Kurt Suzuki, also played for Oakland Athletics. He played for Washington Nationals this year. 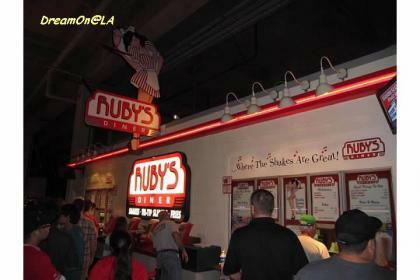 Many kinds of foods were sold at Angels stadium. I will introduce some of them. Angel Dog (hot dog) is $4.50. Big League Nachos is $6.50. 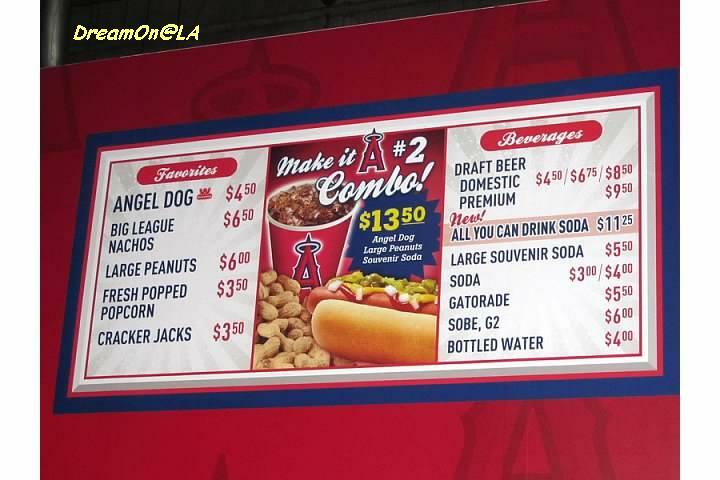 Freshly Popped Corn is $3.50. Cracker Jack is also $3.50. You can also find a "Ruby's" shop which is famous for Hamburgers and Milk Shakes. 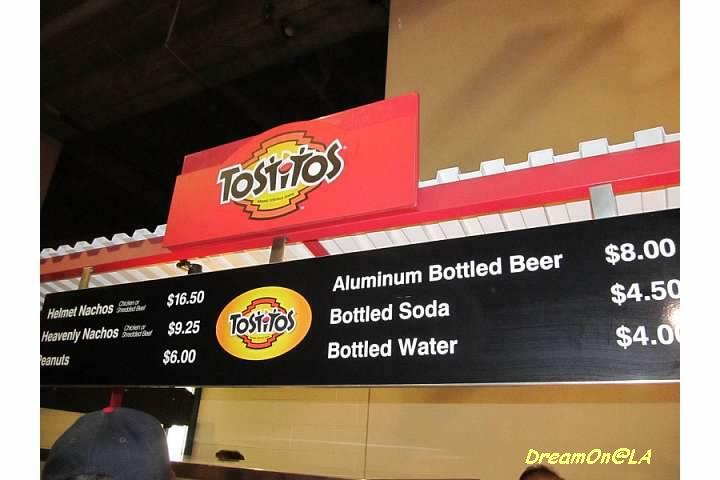 My favorite is "Helmet Nachos" at "Tostitos" shop. 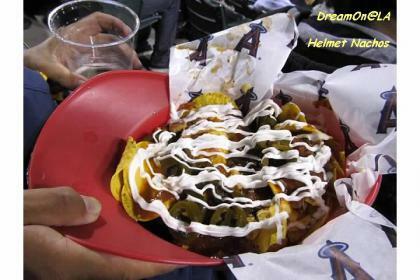 Hot Nachos is served in a regular adult size plastic helmet. Lots of Melted Cheese, Hot Sauce, and Sour Cream are poured on to it. We took home the helmet as a souvenir afterwards. 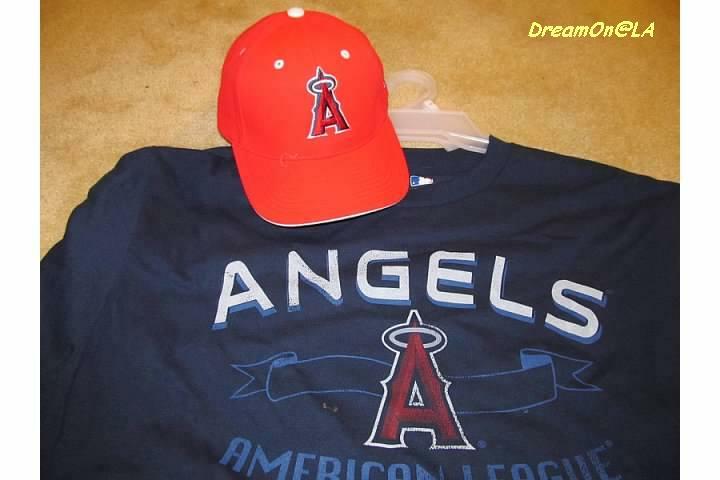 We wore Angels cap and T-shirt to watch the game. 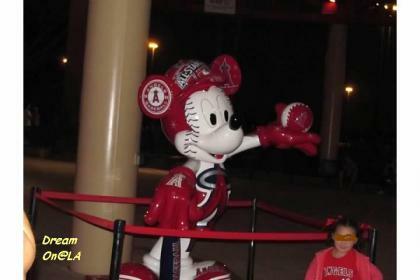 They were celebrating 50th anniversary in 2011 with a Minnie statue. It's located in Anaheim near Disneyland. "Ryo Ishikawa" participated "Northern Trust Golf Tournament" held at Riviera Country Club in Los Angeles. 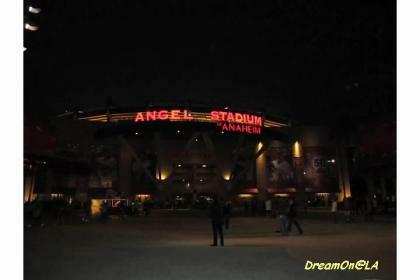 I went to watch the final day on Feb 19, 2012. Ryo Ishikawa passed by just 3 feet away a few times. I almost extended my arm and hand to touch him. It often rains during this golf tournament, but this year it only rained on Wednesday. It was clear with blue sky from Thursday to Sunday, although sea breeze was quite strong on Sunday. No Photography or video taking was allowed. No cameras were allowed. Ryo Ishikawa's outfit was like this. Red hat, white Polo shirt, red pants, and white with red line golf shoes. At 13th Hole, Ryo made a banker shot landing at 1 foot from the pin. It was amazing. He is professional. But mid iron shots went right or hooked to left often and not secure. 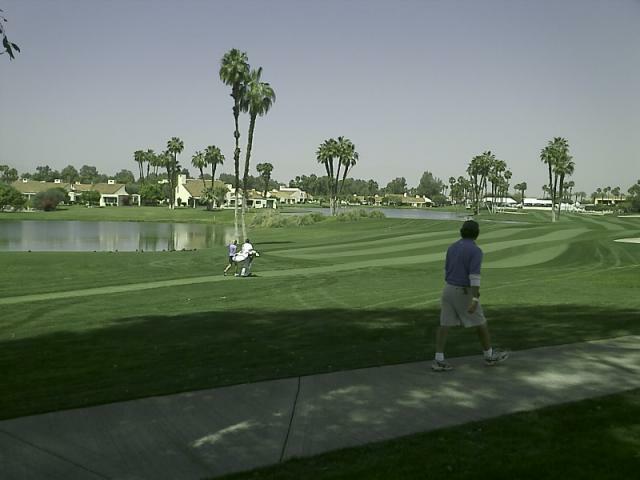 Riviera Country Club is known as a difficult course even for professional golfers with Kikuyo grass and lots of undulations. Phil Mickelson and Keegan Bradley gave up their lead to Bill Haas at the end of the 9th Hole on Sunday. Haas shot 3-under through 10 holes to take the lead, but back-to-back bogies on holes 12 and 13 knocked him from the top. Five players are tied in fourth place, led by a hard-charging Sergio Garcia who finished at 7-under for the day and 5-under for the tournament. At the end of 18th Hole, 3 players, Mickelson, Bradley, and Haas finished tied, and the sudden death play-off began from the 18th Hole. On the second playoff hole, the Number 10th, Mickelson landed in the rough to the right while Bradley landed a few feet further up in a bunker. Haas hit into the trees to the left of the hole, but the ball luckily rolled through with hitting any obstructions. All three players landed roughly 30 yards from the hole. Bradley hit the best shot by far on his second shot, putting the ball just off the green, roughly 12 feet from the hole. Haas laid up to about 40 feet from the pin on the green on his second shot, while Mickelson's ball rolled off into a bunker on the other side of the pin. Bradley had the leg up, but Haas bombed his 40 feet long birdie putt into the cup. Bradley's putt to tie barely glided by the lip of the hole, giving a Haas a victory. 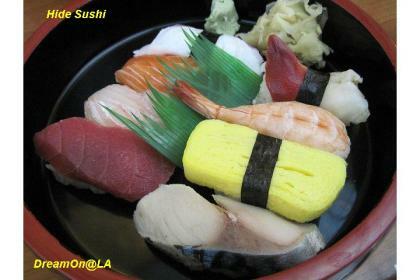 On my way home, I had "Nigiri Sushi Set" at "Hide Sushi" in West LA. It's $12.50. I've been eating sushi often these days. 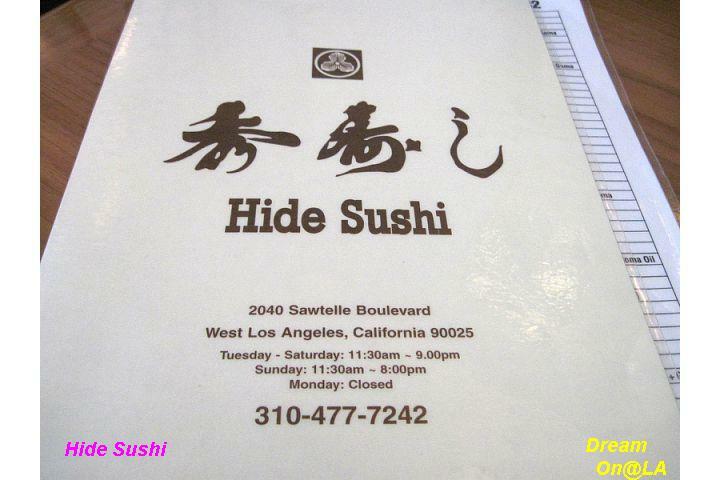 Hide Sushi was established 30 years ago. Sushi pieces are big. Cash only. 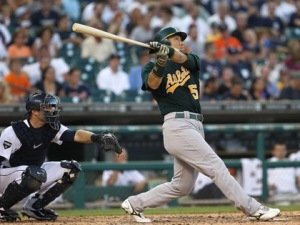 Matsui hit his 500th professional homer Wednesday , July 20, 2011, and drove in three runs to lead the Oakland Athletics over the Detroit Tigers 7-5. He hit 168 major-league homers and 332 homers with the Yomiuri Giants in Japan. "Five Hundred! 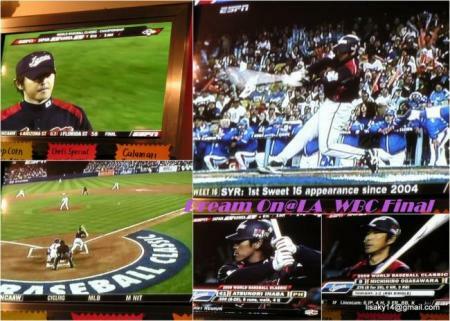 Congratulation, Hideki Matsui", the TV anchorman shouted. On the TV screen, "500th" appeared surrounded by a Japanese flag and an American flag. 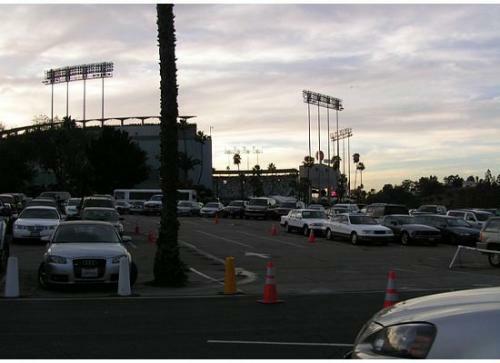 But the stadium was calm. Matsui ran from the first base to the home base without changing his facial expression, and he was celebrated by his team-mates at the bench. 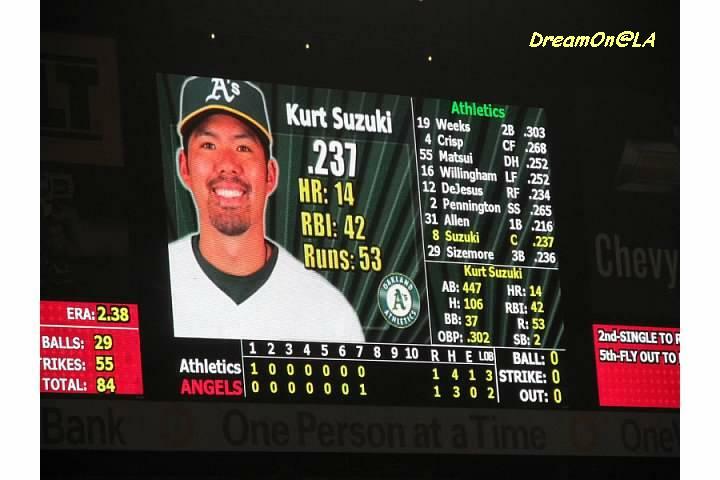 "I'm happy to get it over with, and it is even better that it helped us win a game," Matsui said through an interpreter. "It isn't like I've been aiming for this, because I don't really combine numbers from Japan and here. To me, they are two separate leagues." 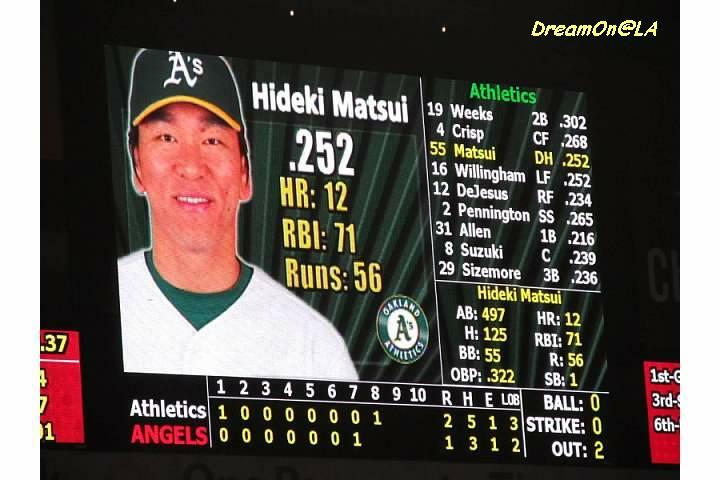 Congratulation, Hideki Matsui for 500th Homer! The owner of Matsui, as well as the Sushi Boy chain, is Tochigi native Masayoshi Yokota, a huge long-time fan of Hideki Matsui since Hideki Matsui stayed at Yokota's house while he played for US Japan High School baseball games when Hideki was a senior in high school. 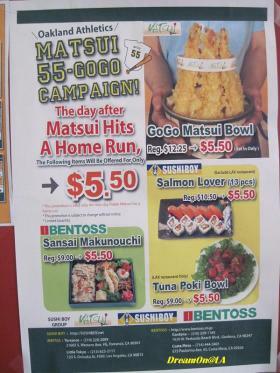 "Matsui 55-GoGo Special" is going on the day after Hideki Matsui hit a home run. He hit a home run yesterday, so "GoGo Matsui Bowl" is $5.50 today, July 21. 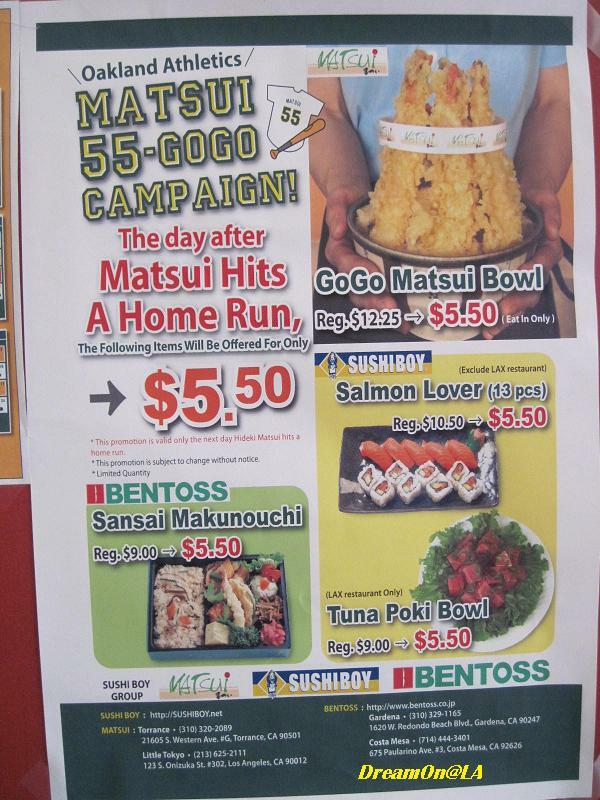 This year they are offering "Salmon Lover" at SushiBoy for $5.50 and "Sansai Makunouchi" at Bentoss for $5.50 the day after Hideki Matsui hit a home run. 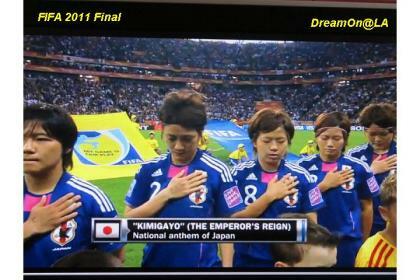 "Japan Won FIFA Women's World Cup Final": The FIFA Women's World Cup 2011 final game was held on July 17th from 7:35 pm Germany time and 11:35 am US Pacific time between USA and Japan. Japan came from behind and tied USA at 2 to 2 after 2 extra time plays. At the PK shoot out, Japan won USA at 3 to 1. It was a wonderful game. 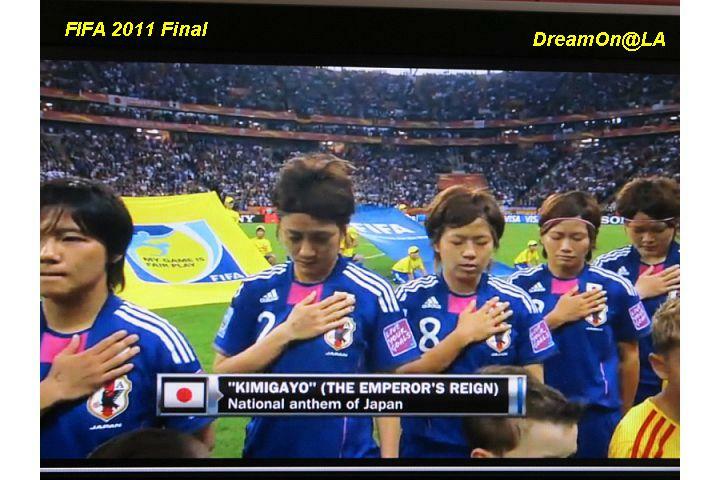 Japanese National Anthem "Kimigayo" was sung before the game. 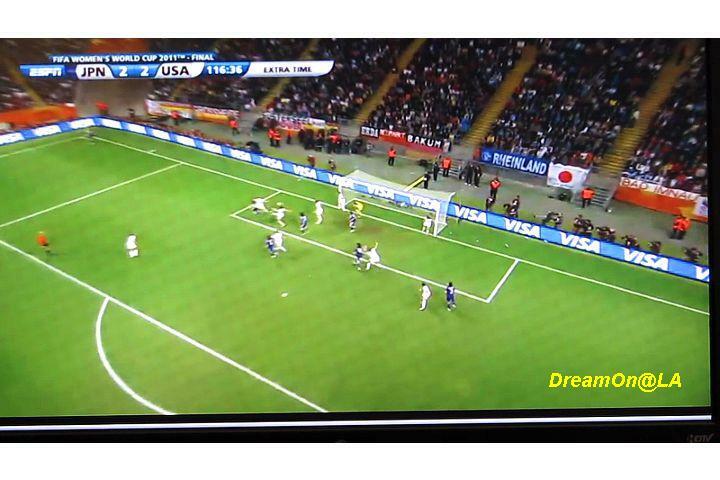 Alex Morgan of Team USA scored the first goal at the 69th minute, but Aya Miyama scored at the 81st minute to tie. 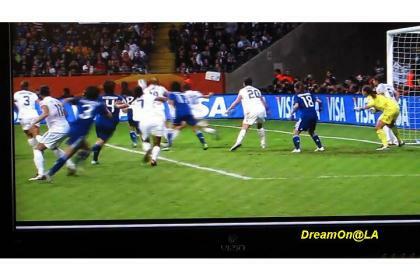 At the 104th minute during the first extra time, Abby Wambach of USA scored. Homare Sawa made the tie score during the 2nd Extra time. Homare Sawa scored at the 117th minute in the 2nd half of the Extra time to tie at 2 to 2. 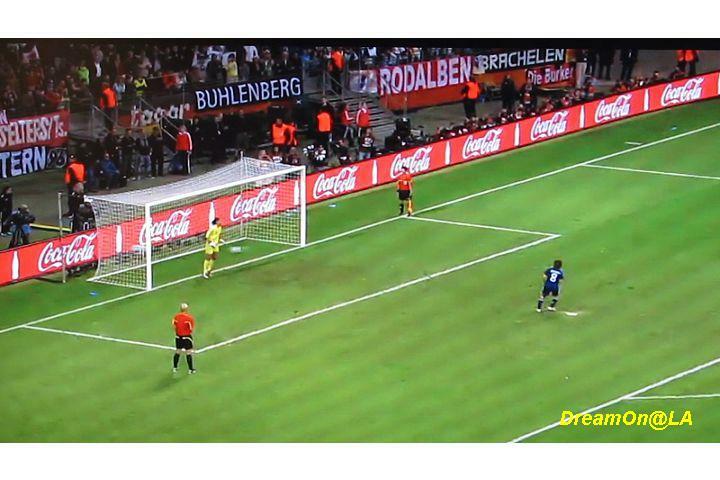 They went on to the PK shoot out. Aya Miyama succeeded the PK shoot out. At the PK shoot out, Japanese Goal Keeper, Ayumi Kaihori stopped the first PK shoot of USA team with her foot. Then, the first Japanese team PK shoot out was made successfully by Aya Miyama. Saki Kumagai succeeded the PK shoot out. At the PK shoot out, the 2nd player from USA's shoot went too high from the goal and failed. 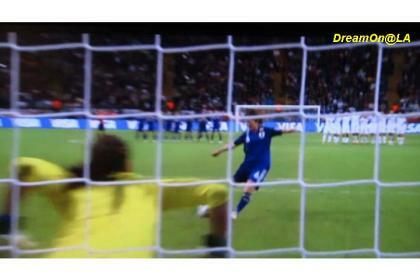 the second player from Japan's shoot was saved by USA's goal keeper, Hope Solo. The USA's third player's shoot was super-saved by Japan's goal keeper, Kaihori. 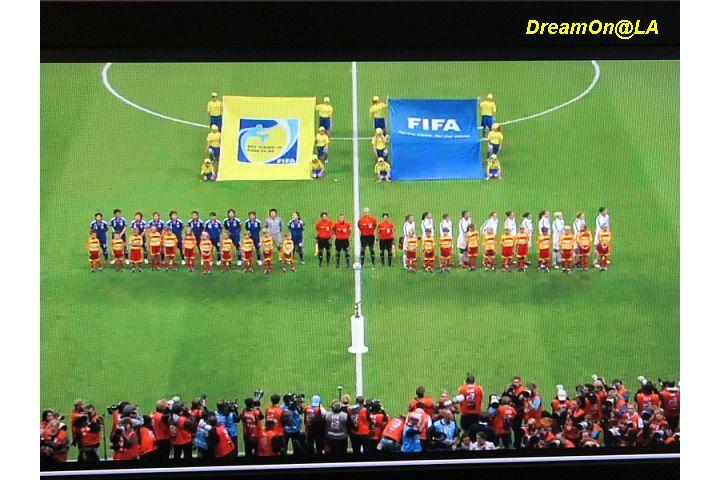 The Japan's third player, Saki Kumagai made the shoot, and Japan won the FIFA championship. Japan Women's Soccer team are called "Nadeshiko Japan". Nadeshiko is a kind of flower, and a symbol for being a feminine lady. 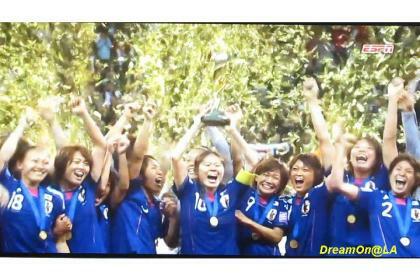 "Nadeshiko Japan" never gave up until the end. They were calm at the PK shoot out, too. We could not take our eyes off until the end. It was a great and wonderful game. 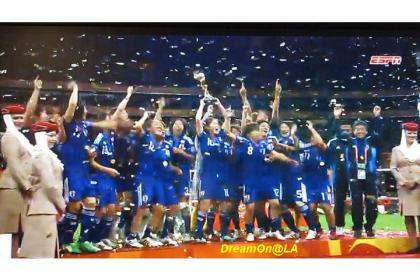 Japan wins Women's World Cup!! Congratulation from SUSHIBOY!! This special information for only SUSHIBOY member like you. 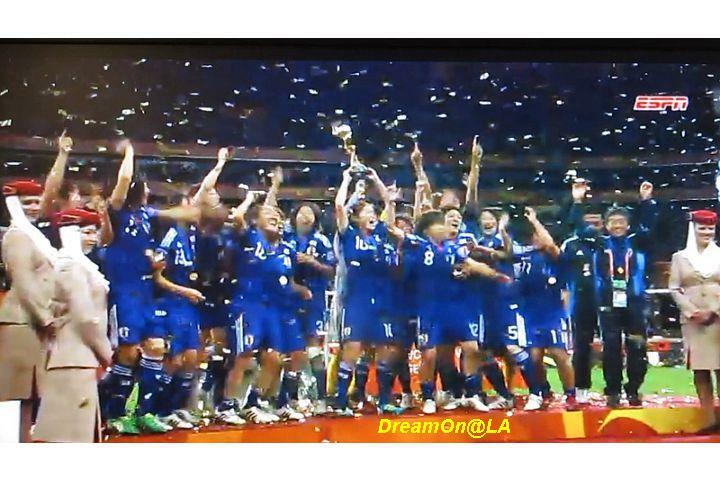 Congratulation Japan team for winning world cup women's soccer. 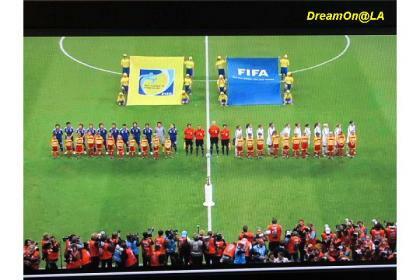 It was so great game, we proud them as Japanese. So we'll provide "YOKOHAMA" at special price,　from regular price $8.50 to $5.99 !! 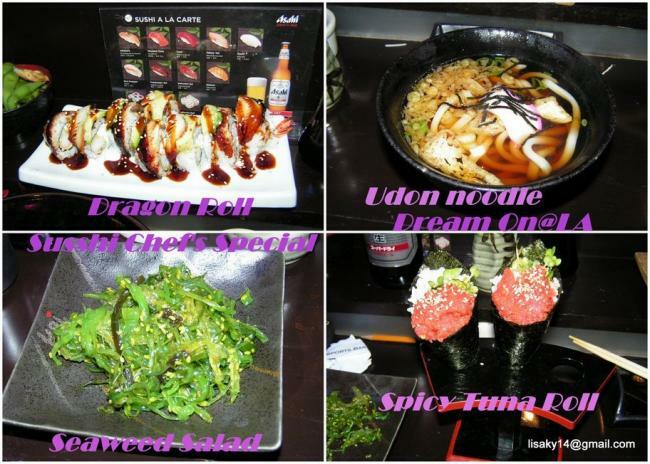 This special offer for only SUSHIBOY member like YOU. 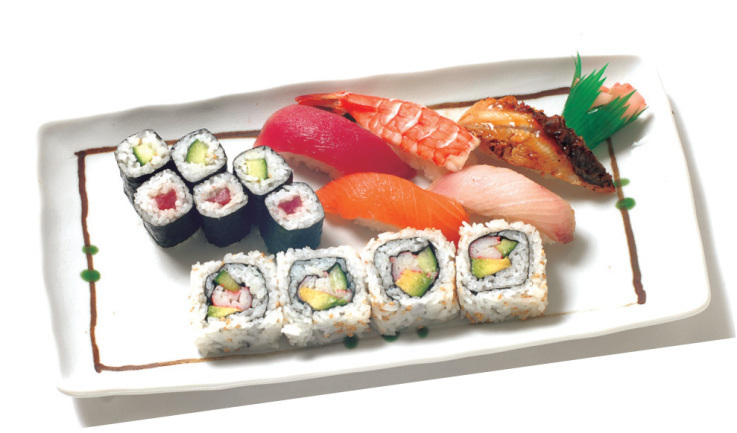 Please print this image and enjoy good SUSHI at 30%OFF price. This is 20th July, 2011 only. Please click the link and print the image. ボーリング熱再び★ Bowling Fun & Craze! 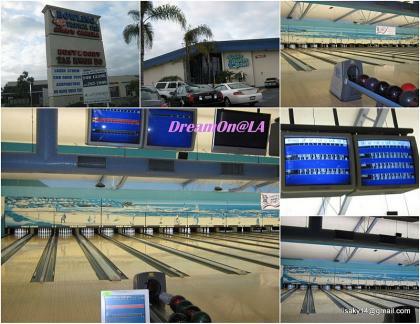 How about Bowling ? :It's been raining or snowing for a week in California. On rainy day, the activities are limited. We can watch movies or surf the Internet, etc...... The next thing we can do is "Bowling". Here are some photos and reports from my two bowling experiences of last month in Torrance area. On a Sunday morning last month, I played with my coworker Carol and her bowling friends from 8:25 am. The first person to arrive made a reservation for 5 of us, and we waited 20 minutes. It seems the bowling fees are half price in Sunday morning. It was the first time in 8 years for me to play bowling. The first game was disastrous, and my score was around 57. It improved, and the 3rd game was great! I got three strikes and three 9-pin and spares in a row, and my score was 148. The 4th game was tiresome.... Regularly a bowling game is around $4, but on Sunday morning it's the half price. No wonder it gets crowded from early morning. 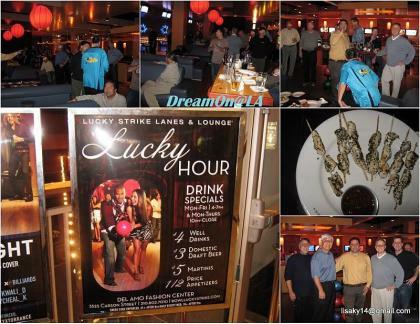 With bosses and coworkers, I went there on a Thursday night last month. This is a place where you can eat finger food and play bowling. I thought the lanes are narrow and short. It was dark and hard to see the lanes. 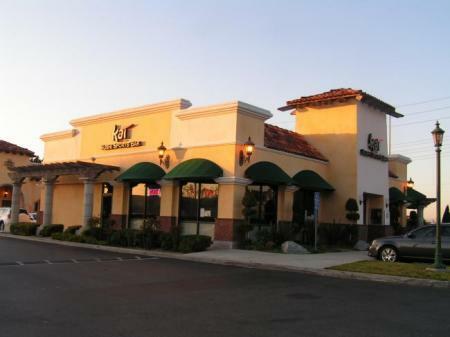 It's located at the new area of Del Amo Fashion Mall and across from AMC Theater. The floor was tilted to one side. I kept throwing a ball to the right edge, but it curved to the left edge at the last 6 foot from the pins. It's a place to enjoy the parties and the atmosphere. 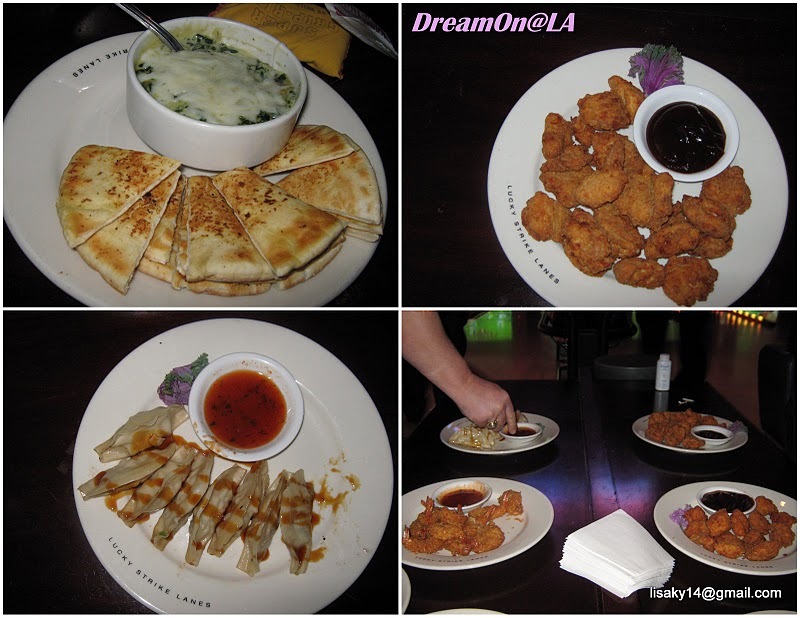 Several finger foods....... 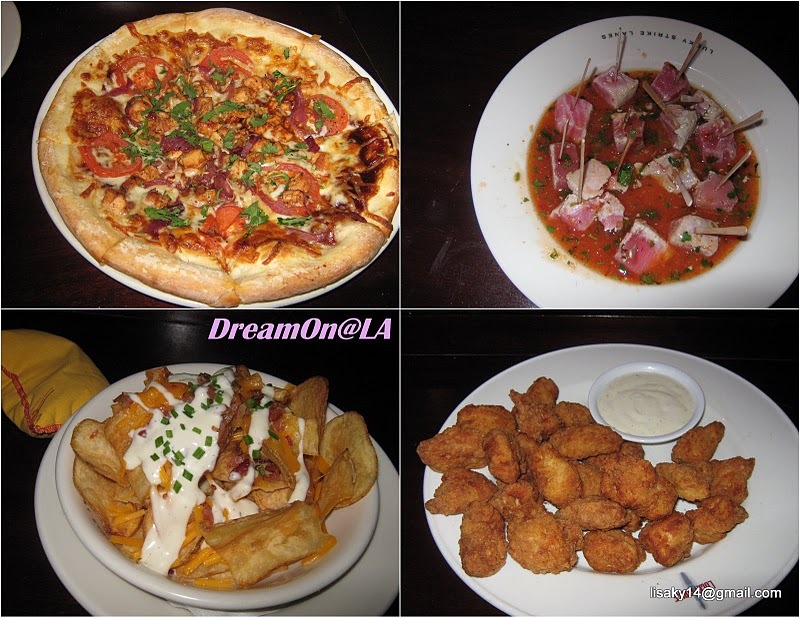 There were Pizza, Seared Tuna in Tomato Sauce, Potato Edges, Fried Chicken, etc. Thai Style Squired Chicken was there, too. Happy Hours are 4 pm to 7 pm on Monday to Friday and after 10 pm on Monday to Thursday. Appetizers are half price, and the drinks are cheaper. Bowling craze revisited USA, maybe... or it could be just I thought. I have my own bowling shoes but not a bowling ball. I want to get a bowling ball with the best weight and finger holes fit for me. It seems a custom made bowling ball can be made from around $70. 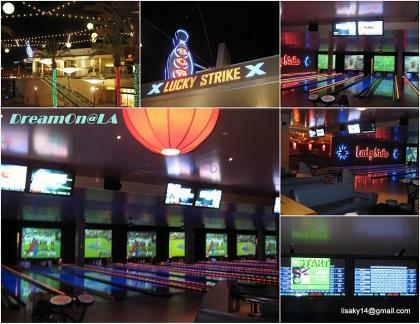 The interior looks like this at Lucky Strike. I believe there is no arcade games at Torrance location. MLB-Championship Games: Four teams are left to compete in the playoff at Major League Baseball to win league championships. 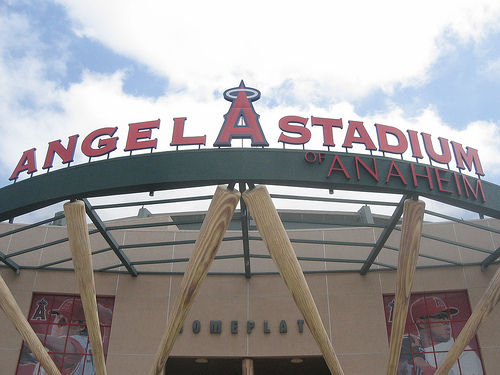 Two teams from Los Angeles, Dodgers and Angeles are there competing against Philadelphia Phyllis and New York Yankees for the best of 7 games. 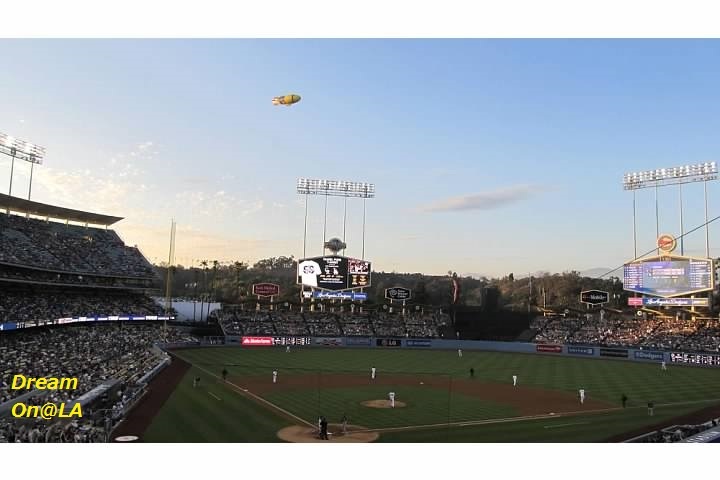 On Monday, Oct.19, in Philadelphia, at the Game 3 of the National League Championship, Dodgers were leading at 4-3 at the start of the bottom of the 9th inning. Phyllis hit a game-winning 3 base hit and won the game at 5-4. 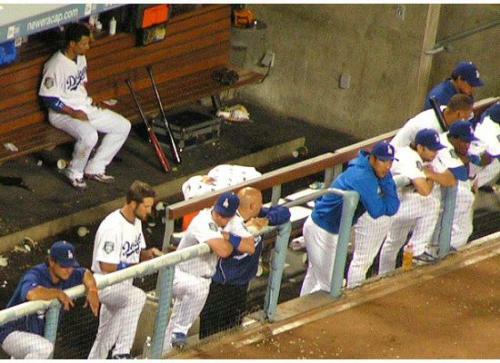 On the previous day, Kuroda pitched, and Dodgers lost big at 11-0. Dodgers won 1 game and lost 3 games. The next game will be held on Oct. 21 in Philadelphia. 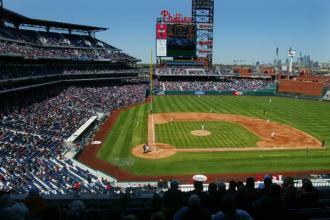 Rollins lined a two-run double with two outs in the ninth inning off All-Star closer Jonathan Broxton(notes) and the Philadelphia Phillies rallied past the Los Angeles Dodgers 5-4 Monday night for a 3-1 lead in the NL championship series. 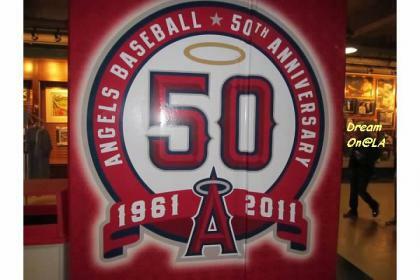 On Monday, Oct.19, in Anaheim, at the Game 3 of the American League Championship, Angeles won at 5-4, a sayonara-win. It was the first loss for the Yankees in the post season. Hideki Matsui of Yankees appears as a DH (Designated Hitter). The 4th game was held on Oct. 20th at Angeles home grand, and Yankees won at 10-1, leading the series at 3-1 games. Yankees will crunch an American League championship with one more win. Next game will be Oct. 22 at the Yankees Stadium for the game 5. 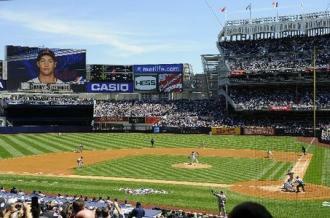 If Yankees wins, they will win the American League Championship title. At the game 4 last night, the umpires call were shaky on several occasions, and it lead to controversies. I will attach a link to the news with video clips below. 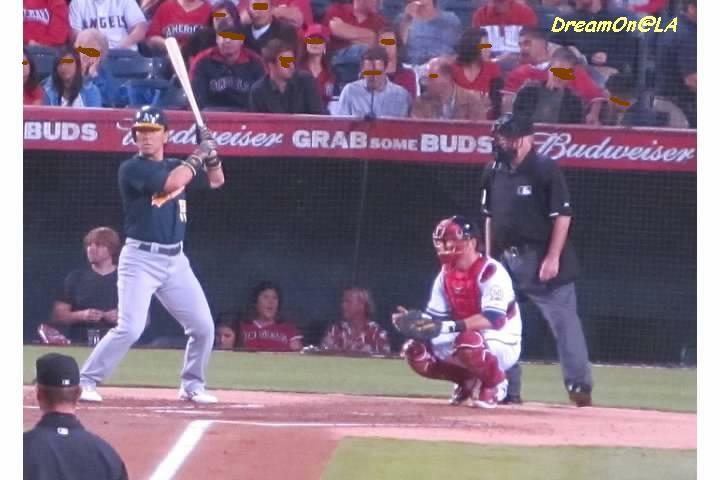 Poor Angeles....I thought they got 2 outs easily here, but the umpire made a mistake. It was the worst call of all time in Major League Baseball history! Dodgers and Angeles, two teams in Los Angeles, are barely hanging on the cliff! 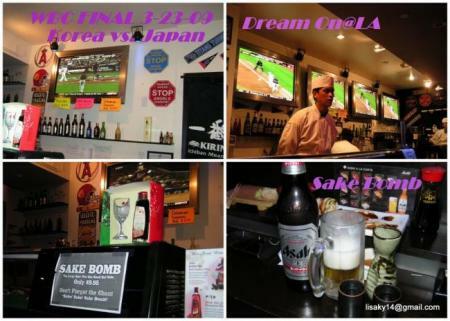 Please wish good lucks and cheer up Dodgers who are playing tonight (Oct.21, local time, Oct 22., Japan time) and Angeles who are playing the following night! You can watch video clips from the games at the above site. Autumn Food Fair by Mitsuwa Market at Torrance and Costa Mesa stores. 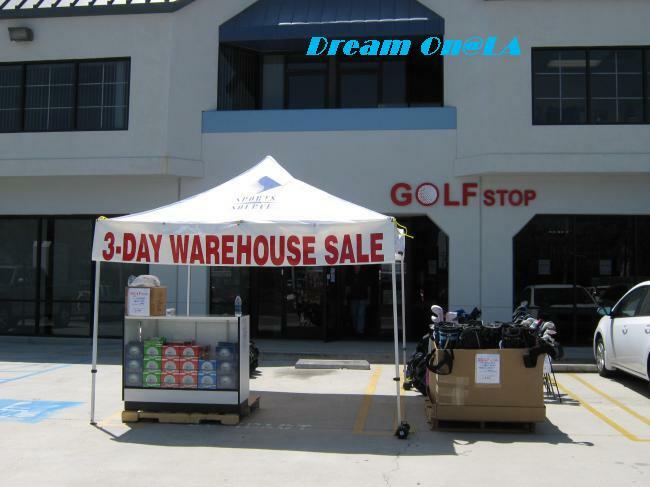 Golf Stop in Torrance, CA is having a 3 day tent sale from Thursday to Saturday, 4/30/09 to 5/2/09. I went there with my coworkers yesterday (4/30/09) during lunch time. 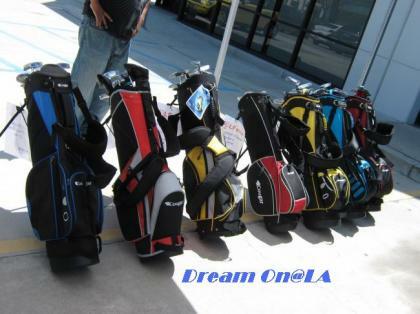 The golf bags displayed in front of the store is $19.99 each. There are other merchandises inside store, but the bargain items are displayed in the back parking lot. You need to go through a back of cash register counter and walk though their office. 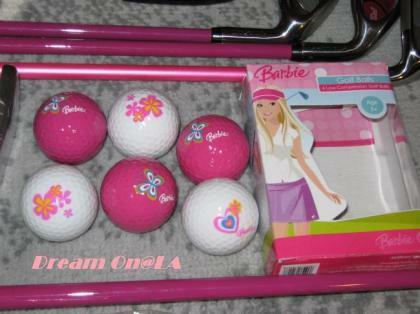 Woods and Hybrids (with head covers) in a large box were $7.49 each. Irons are $3.49 each. 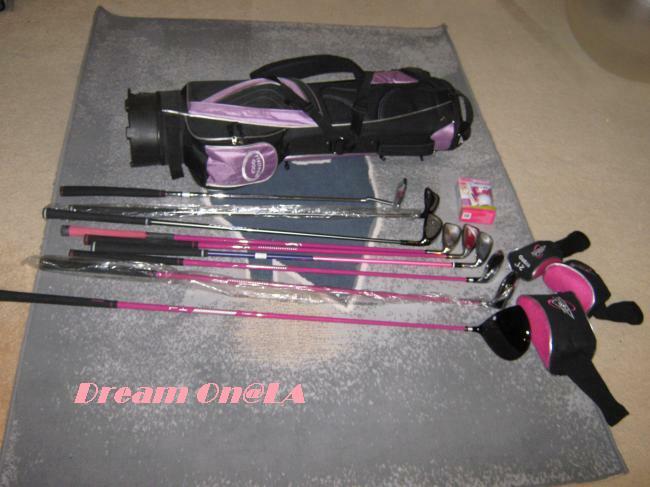 Putters were $7 each. I stopped by there again after work and got several irons and woods mostly with Pure Spin brands in my favorite pink color. I purchased a golf bag, a driver, a 3 wood, a 21 degree hybrid, a putter, a 5-iron, a 6-iron, two 7-irons, a pitching wedge, and a box of Barbie golf balls (6 balls with Barbie logo in pink and white). Total was $70 plus a sales tax. Pure Spin is very famous for their wedges and #1 Wedge on the Senior Tour in USA! I forgot to get a sand-wedge for banker shots, so I will stop by there again today after work. 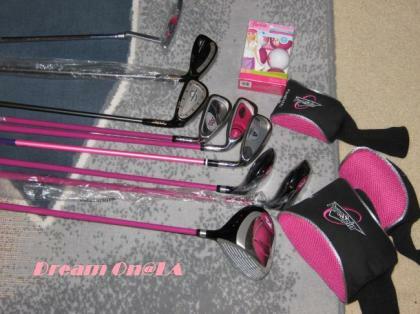 There were lots of golf merchandises for Men. There were some for ladies, Juniors, and Kids. 2 blocks west of Western Ave. I watched a NBA basketball game between LA Clippers and Portland Trail Blazers at Staples Center in downtown Los Angeles and came back home 2 and a half hours ago. Last year end, during company Christmas luncheon, there were several drawing gift items. I won two LA Clippers lower court tickets, worth $68 each. I went to the game with my coworker, Bill. 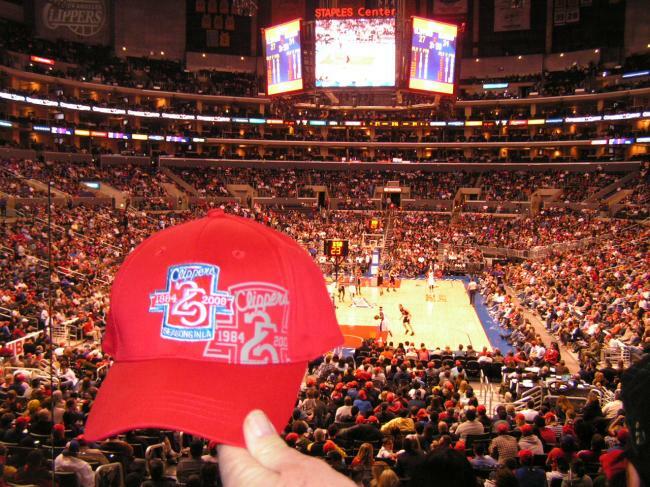 We received LA Clippers 25th anniversary cap, sponsored by KIA (Korean auto maker) for free. Our seats were behind a basket and they were pretty good. Clipper Girls were dancing during time-outs. Clippers were trailing behind 5 to 14 points off Portland, but they caught up and became tie at 68 to 68 at 8 minutes 41 seconds remaining on the clock at the 4th Quarter. 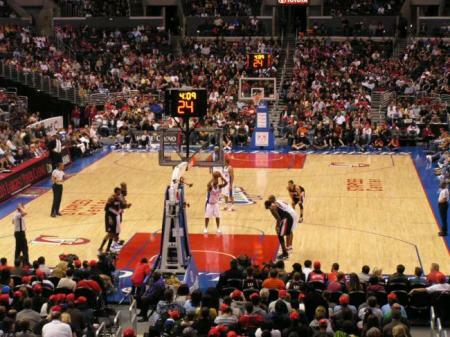 The crowds were cheering for Clippers. 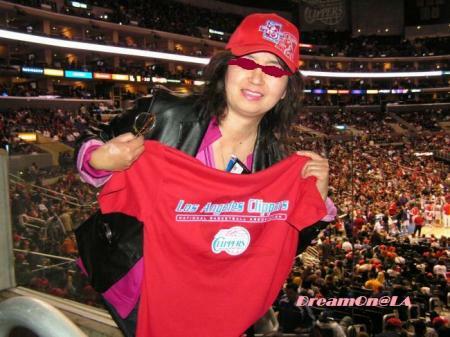 $24 Clippers Tshirt was around $15 with 40% off and sales tax. 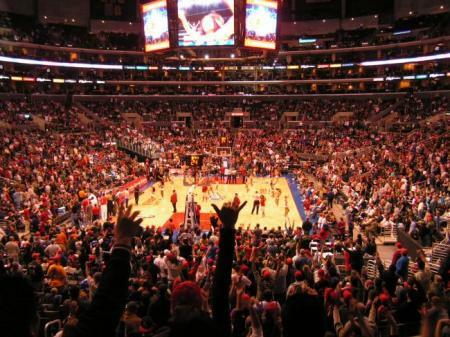 At the merchandise shop inside, they were having a 40% off sales on LA Clippers items. They only have one more home game this season. 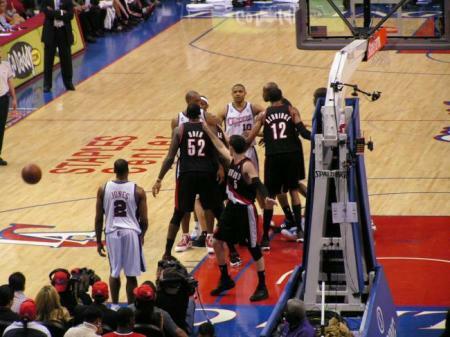 From the tie at 68, Portland scored more and more and Clippers lost at 87 to 72. 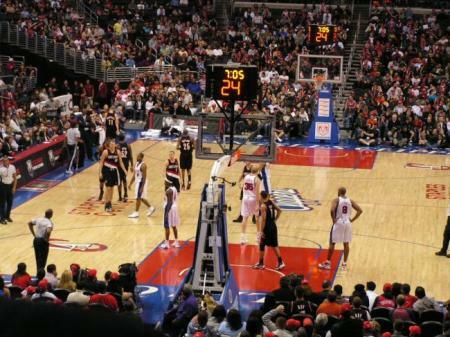 Clippers lost the game, but it was fun watching a NBA basketball game for the first time in two years. 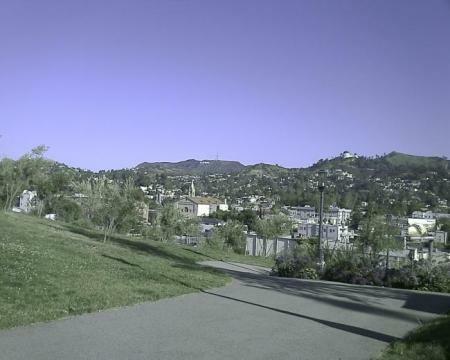 A Nice View of Hollywood from Barnsdall Park during 5K Run. This 5K Run is the 2nd annual event, and held by Rotary Club of Thai Town. The proceeds go to the charity fund to end "Polio." About 90 runners participated. Some trucks delivering event booth items were blocking the race course, so the start was delayed to 8:20 or 8:25 AM. We ran or walked along Hollywood Blvd.to Vermont Avenue and came back to the start point. In the middle, we made 2 circles at Barnsdall Park Loop. It was a nice park with a running track with up-slopes and down-slopes with great view of Hollywood, overlooking "Hollywood" sign and Griffith Park Observatory. TK 15 minutes after the 5K Run. Miguel Ruiz of Los Angeles was the first to finish at 15:29. Alberto Ramos of Los Angeles was the second at 15:56. Both are males in 20's. There was no age limit. 6 year-olds to a person around 75 participated. They did better than me. Lisaky right after the 5K Run. 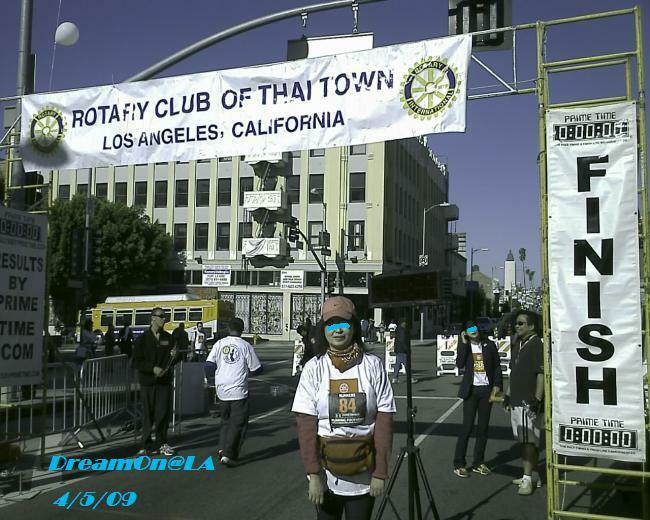 I could not run well because I got heavier, at least 14 ponds (7 kg) heavier than March 2004 when I ran for LA marathon. It's like "Which comes first? Chicken or Egg ?" I don't lose weight because I don't run. It's hard to run because I am heavier. Well, I will try to run more often. There was a Buddhist ceremony ( for Buddha's birthday) after the 5K run. 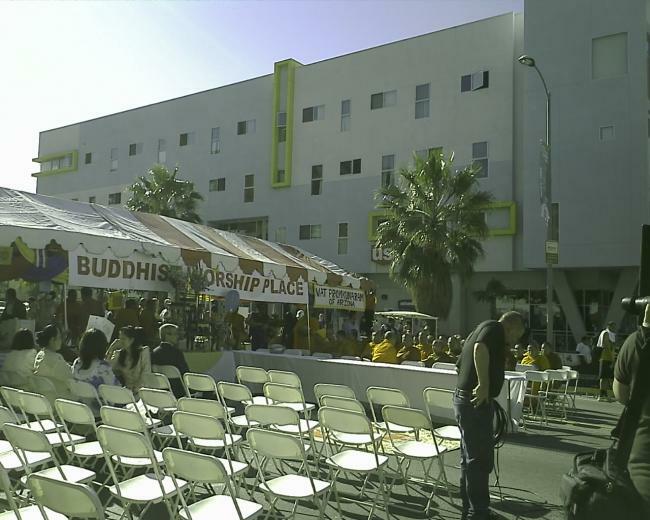 About 80 Buddhist monks did water blessing to the people and walked along the Hollywood Blvd. 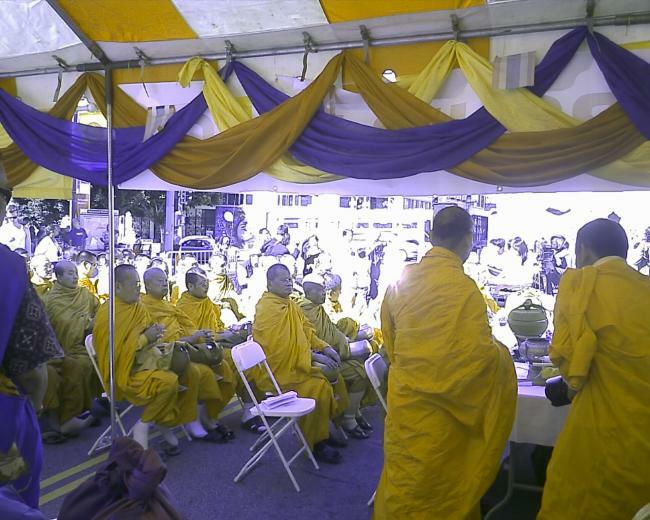 The followers offered food and $1 bill money to the priests. We stopped by at Muay Thai Boxing stage a few times, but we did not see any Muay Thai boxing matches going on. 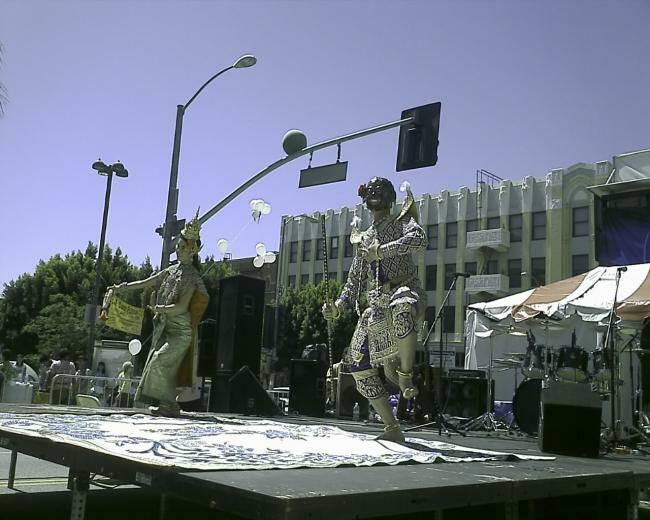 We participated Curry King Contest and saw a traditional Thai dance. 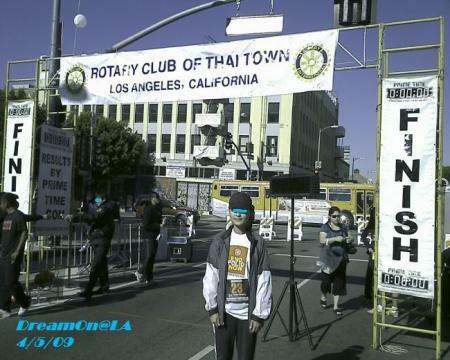 After that we left Thai Town around 1 PM and went to Hollywood main strip (Hollywood Blvd and Highland Ave.) to walk around. 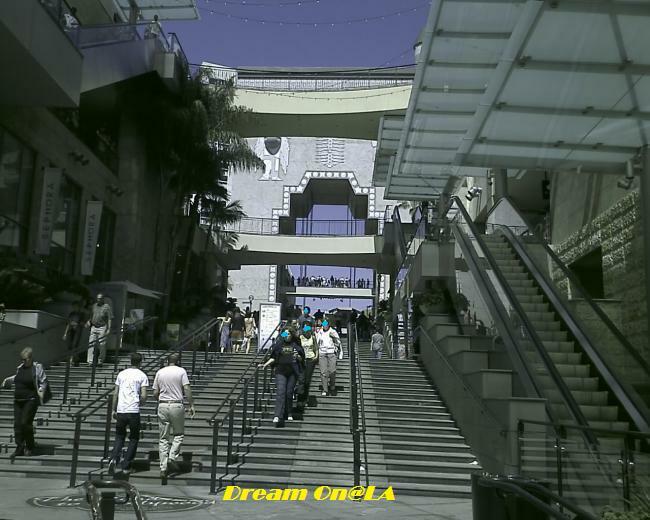 Hollywood & Highland (Landmark), next to Kodak Theatre, where Academy Awards are presented. 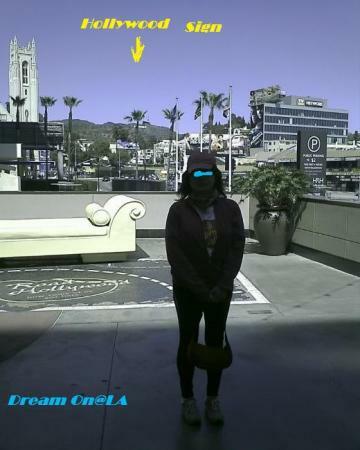 After relaxing at Starbucks, I got a picture taken at a sight-seeing sight at Hollywood & Highland landmark. 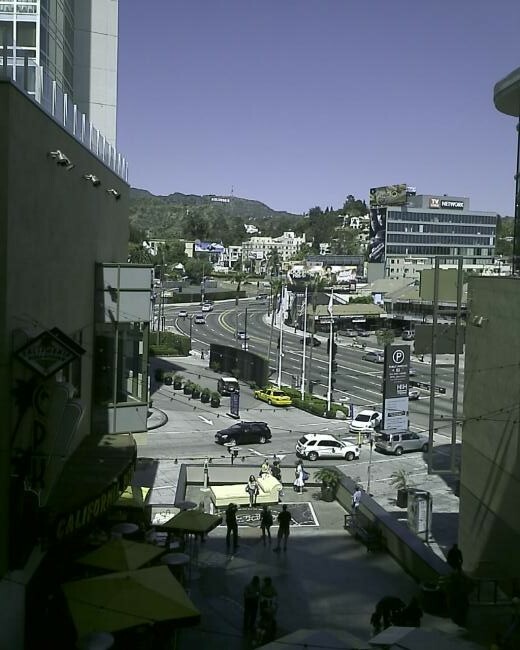 You can see "HOLLYWOOD" sign that you often see in movies in the back. Lisaky at the back of Hollywood & Highland landmark. There is a "Hollywood" sign behind. My result of 5K Run was terrible, but the $30 application fee was saved toward "End Polio" fund, so I believe my participation was for a good cause. 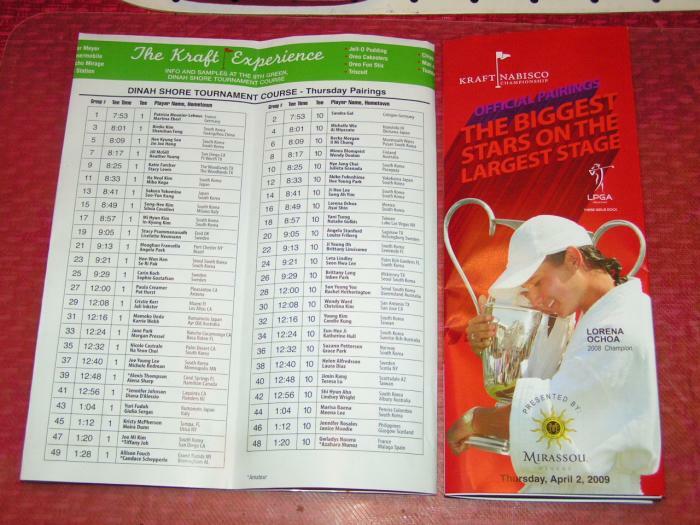 On Thursday, 4/2/2009, we went to Palm Spring area to watch a USA LPGA Kraft Nabisco Championship Golf Tournament. It was held at Mission Hills Country Club (par 72) in Rancho Mirage, California. 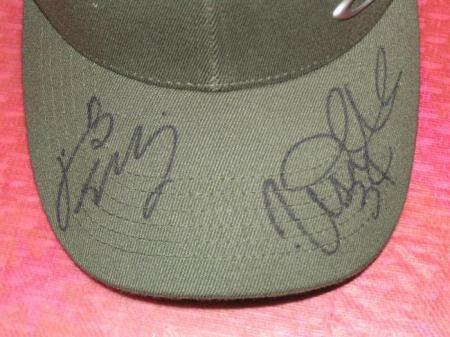 Japanese players, Ai Miyazao, Momoko Ueda who both are USA LPGA tour professionals were there. From Japan, Miho Koga, Akiko Fukushima, Yuri Fudo came. Michelle Wie and Ai Miyazato paired up for the first round. 2008 champion, Lorena Ochoa (Mexico), and Natalie Gulbis and Paula Creamer who are known for beauty and trendy fasion had lots of followers. After the first round, Brittany Lincicome (USA) was leading at 6 under. Britany Lang (USA) and other 2 players were tied at 2nd at 5 under. 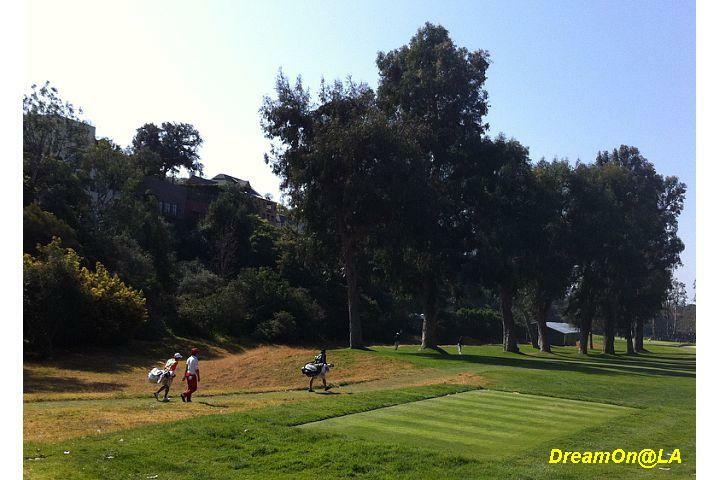 Paula Creamer (USA), Akiko Fukushima (Japan) and several others were tied for the 12th. A 19-year-old, Michelle Wie (USA), Natalie Gulbis (USA), Yuri Fudo (Japan), and several others started the tournament with 1 under and tied for the 18th. 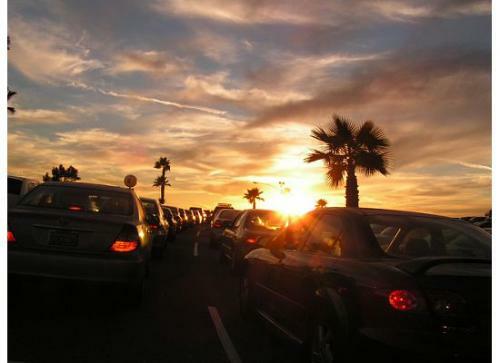 At 7 PM on 4/1/09 after work, we left home in Redondo Beach and drove to East on free-ways and reached our hotel in 2 and a half hours. 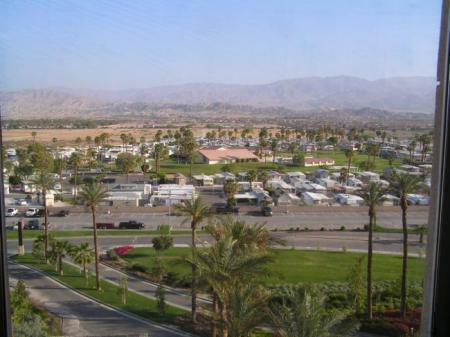 We stayed at Fantasy Springs Casino Hotel, using a comp room. We checked out the hotel little after 8 AM next day. We stopped by at Canyon National Bank to get a "2-For-1 Coupon" for the tournament. There is information about this coupon at "Ticket" section in the official KNC tournament HP in a small print. We used the coupon last year as well. We drove to the tournament parking site. 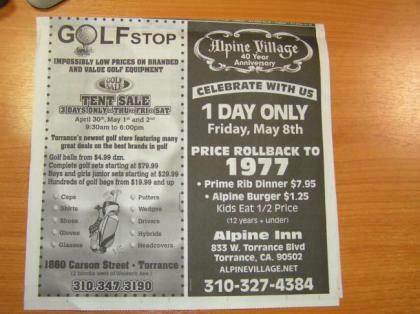 It's 5 to 10 minutes driving distance from the tournament site, and there are free shuttle bus services. Cameras and cell phones are prohibited at the tournament site. Tickets were $25 for Adults and $20 for Seniors (50 and up) on Weekdays and $35 on Weekend. A part of Freebie samples I got. 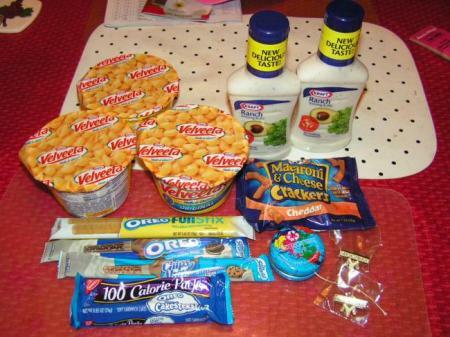 The upper left is Macaroni & Cheese Instant version. 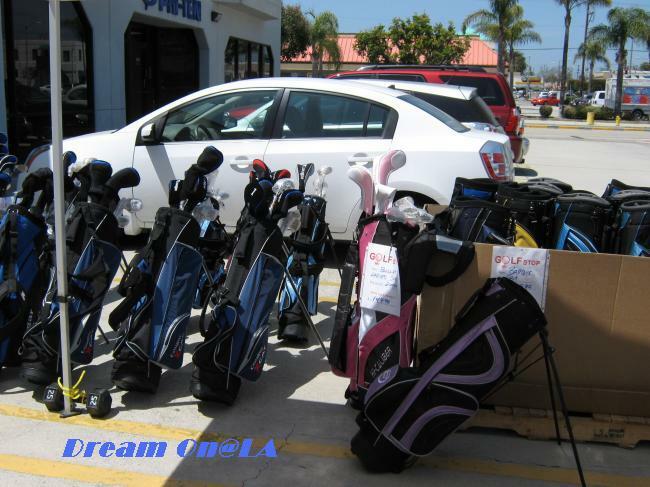 We were at the golf tournament site from 9 AM to 2:30 PM. 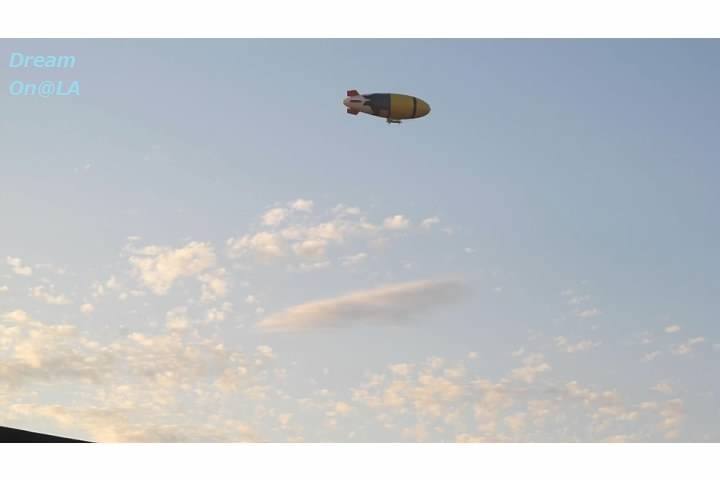 It was sunny with high 81 F (27C). As you enter the tournament entrance, there is a large tent. Inside there were several sponsor boothes. Many offered free samples. I got Oreo cookies, Jello pudding, Macaroni & Cheese crackers, Macaroni & Cheese instant version from Nabisco and Kraft Foods. It became my breakfast that day. When I stopped by there again in the afternoon, I also got a free sample of Pizza from "California Pizza Kitchen." 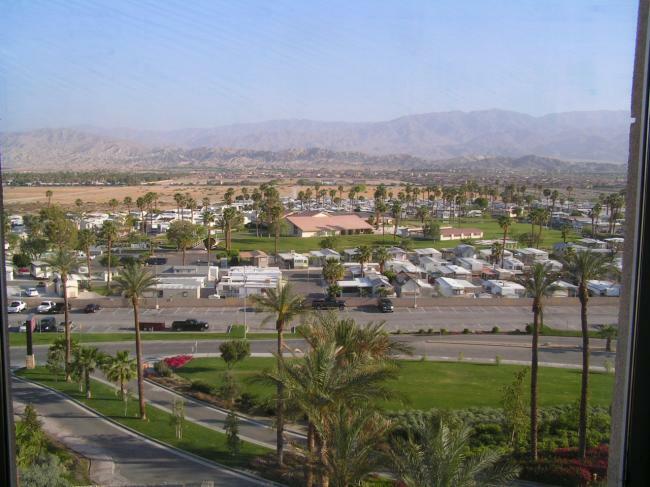 Palm Spring area is a valley and desert. It was cool in shades under trees, but it was hot in the sun. We lined up at "Autograph" booth and got autographs of Miho Koga and Sakura Yokomine. Both of them tee-ed off around 8 AM, so they finished the round around 12 noon. 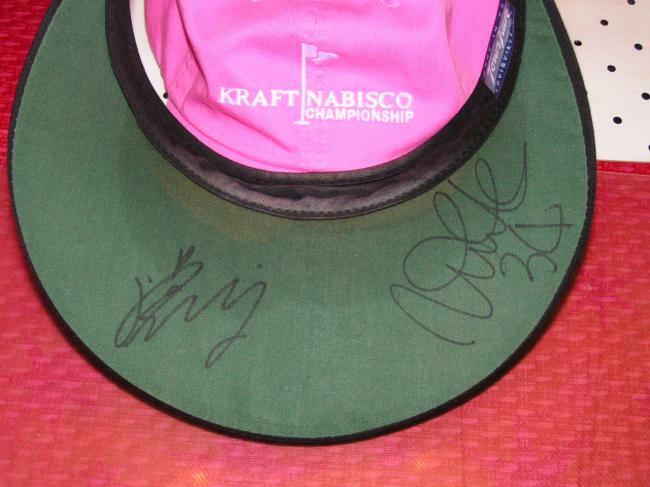 There was a merchandise store in front of the "Autograph" booth, selling the LPGA and the tournament merchandises. I should have bought a LPGA cap or Kraft Nabisko championship flag ahead of time. What I was surprised is that the professional players practice a lot. After the round, Miho Koga was practicing putting for more than 2 hours. It seemed she was not quitting. Her putting was terrible that day. She is the top prize money winner and a top and popular player in Japan. There were a few galleries, maybe because she is not known in USA. Akiko Fukushima was practicing putting as well. Lorena Ochoa and Sakura Yokomine were also practicing shots at the driving range after the rounds. Who will win the championship this year? The winner will jump into the water pond at the 18th hole as a tradition of this tournament. I am looking forward to watching it. 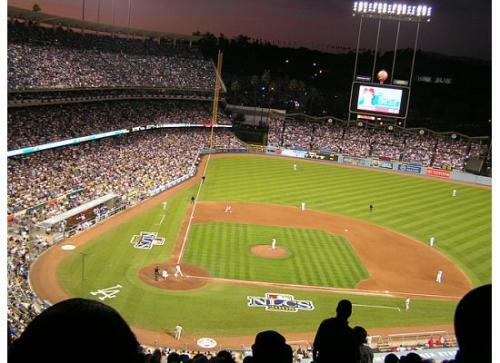 On Monday 3/23/09, there was a final game of WBC (World Baseball Classic) from 6:30 PM between Korea vs. Japan at LA Dodgers Stadium. 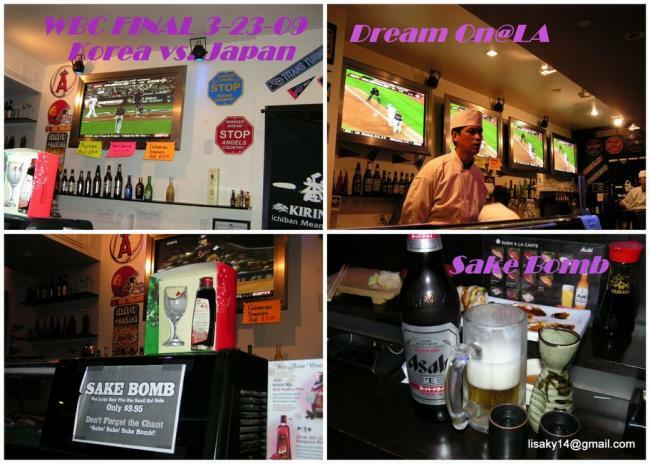 It will be about 1 hour by car to get to there but I watched the game at "Kai Sushi Sports Bar" in South Torrance this time. 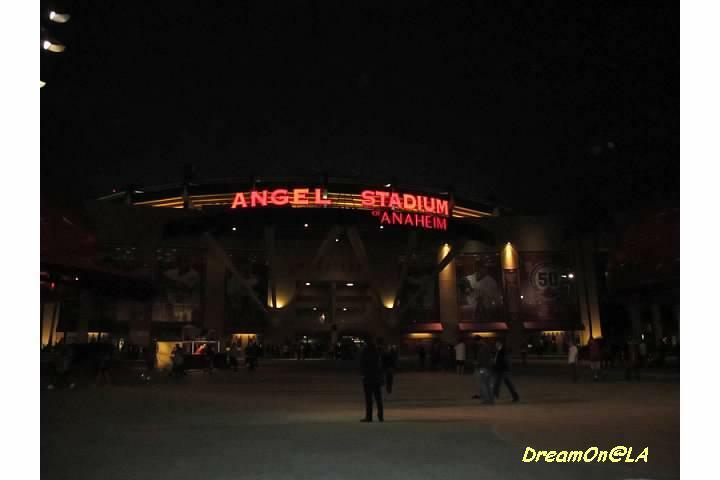 We went to watch WBC games at Anaheim Stadium 3 years ago. 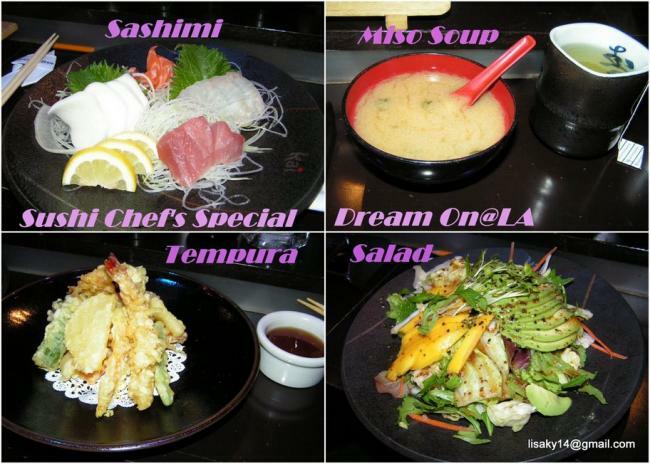 Sushi Chef's Special White one at upper left is Ono Hawaiian fish. Salad had Papaya and Avocado. First we ordered a Large Asahi Beer. We toasted with Edamame Soy beans and Beer. 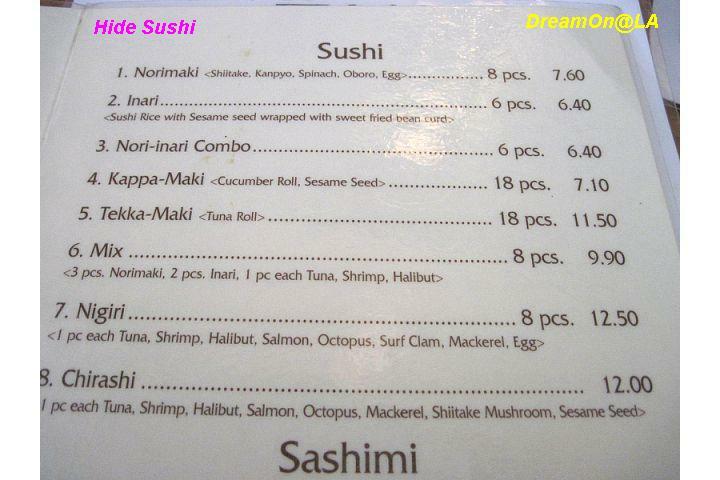 There are so many kinds of foods on the menu. We could not decide what to order. 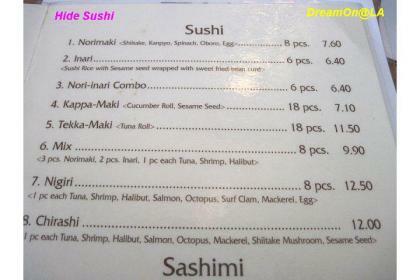 They had "Sushi Chef's Special" at $29.95, with minimum 2 orders. We ordered it. It seemed to include Salad, Sushi, Sashimi, and others. For drink special, they have "Sake Bomb." It is a set of a Large Beer and a small hot Sake for $9.95. It's $2 cheaper than ordering them separately. So, we ordered this. We ordered Hot Green Tea also. It was $2 per cup. 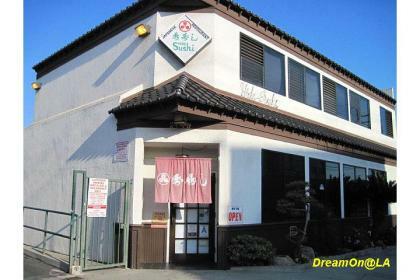 Both of the two sushi chefs are Korean American. 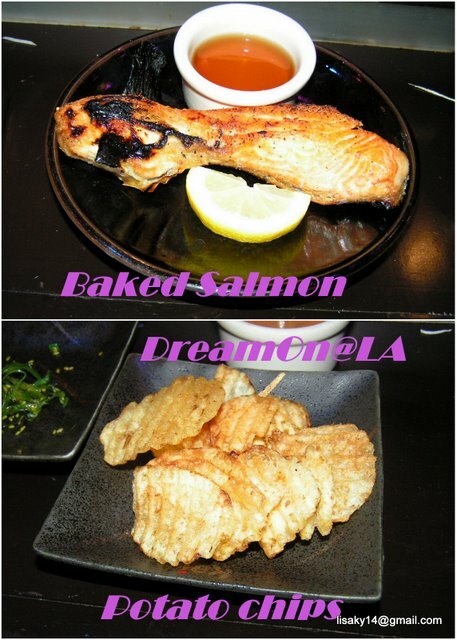 They both had "culinary license" issued by Tokyo, Japan. Their sushi skills were good. More than 54,000 people attended (and nearly 142,000 for the three games in L.A.) The stadium filled as the game went on. Iwakuma piched as the starter until the middle of 8th inning. He had a great controll. It was 3-2 with a four-ball walk at the 8th inning. Sugiuchi replaced Iwakuma. From the 9th inning, Darvish replaced Sugiuchi. Darvish had bad ball controll. He kept throwing balls and could not get a strike. He walked a couple of batters. Korea made a hit, and it became 3 to 3 tie at the end of the 9th inning. They played 10th innings. 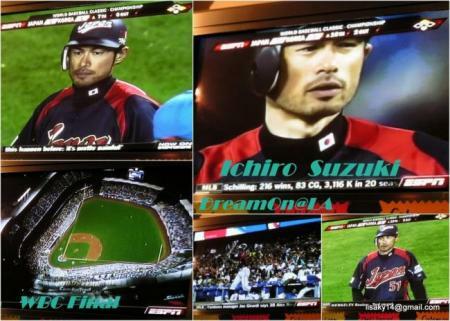 Ichiro Suzuki (Seattle Mariners), one of five major leaguers on Japan’s team, delivered the key hit with a two-out, two-run single in the top of the 10th inning, Japan lead Korea 5 to 3. On the bottom of 10th inning, Darvish did not allow a run. Japan won Korea and won a WBC championship at 5 to 3. "Ichiro Ledend" was born again. 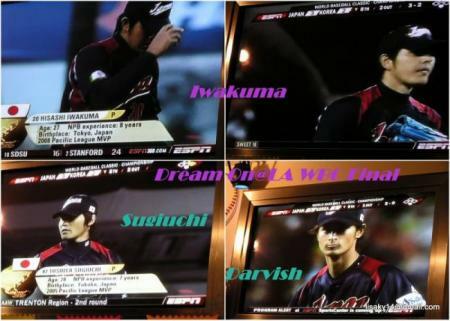 Darvish became the winning pitcher of this game. Daisuke Matsuzaka (Boston Redsox) was named the MVP of 2009 WBC games for winning 3 times for team Japan. Japan won 2009 WBC championship as the back-to-back WBC from the previous championship in 2006. Congratulation Team Japan for winning WBC Championship. 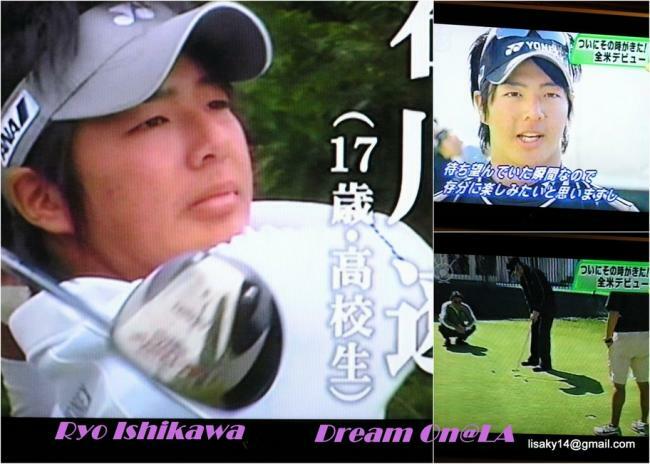 A 17 year-old Japanese sensation, Ryo Ishikawa, is invited to play Northern Trust LA Open Golf Tournament being held from 2/16/09 to 2/22/09 at Riviera Country Club. I hope Ryo Ishikawa will advance to the final round from Saturday, 2/21/09. 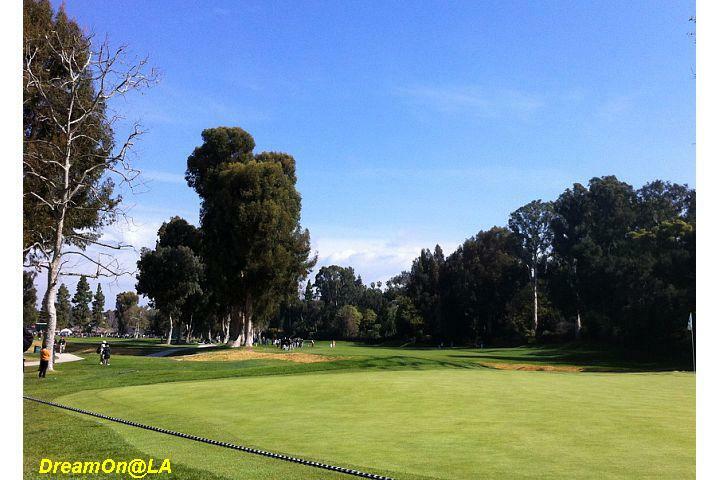 The Famous 18th Hole at Riviera Country Club. As of Thursday, 19th, Phil Mickelson, the defending champion of 2008 tournament was leading at score of 63. Ryo Ishikawa was tie for 110th at 73. Tiger Woods declared last night that he is participating tournaments from next week. Ryo Ishikawa never saw Tiger Woods, yet. Ryo Ishikawa is also invitged to play at Master's tournament this year. I am looking forward to seeing Ryo and Tiger meeting at Master's tournament soon. Restaurant.com is having a 80% sale until 2/28/09. The discount code is: DINE. If you enter this discount code at the check out screen, the amount is automatically adjusted. For example, if you buy $25 gift certificate at $10, it will be $2. It's a great deal. Some restaurants have restrictions such as you cannot use it on Saturday or you can use it once a month at the same restaurant. If you take advantage of this at your favorite restaurants, you get great deals. It looked like a one man race by Phil Mickelson, but he was trailing one shot back at 15th and 16th holes on the last day. 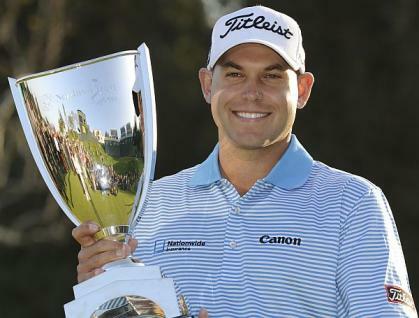 He made a birdie on 17th hole and a par on 18th hole to win it at -15 by just one stroke. 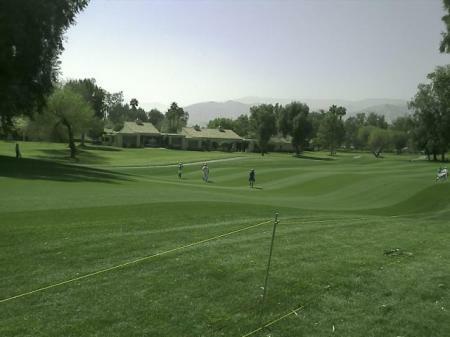 Fred Couples was charging one shot behind, but he hit his 2nd shot on the 18th hole to the right side tree. 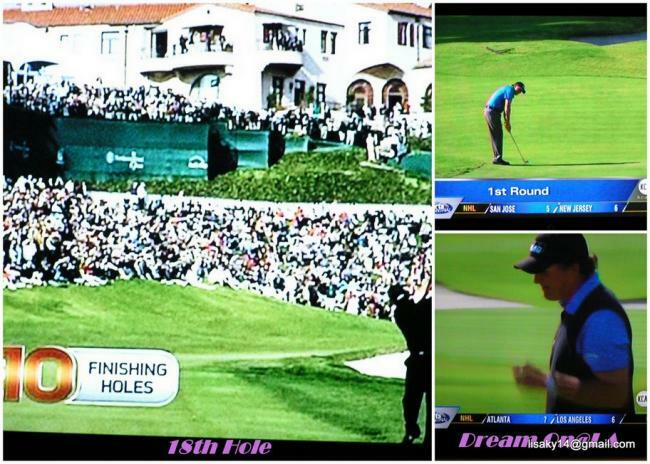 It was pretty much exciting until the end of the final round on Sunday, 2/22/09. 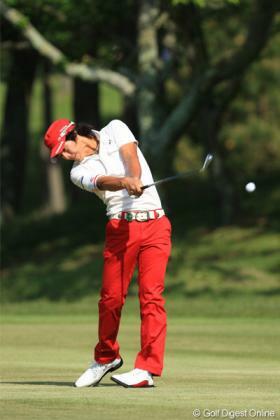 Ryo Ishikawa finished at 2 over on Friday's round and did not advance to the championsip round on Saturday. The cut line was -1. He was 3 shots behind. He went to Arizona for the next tournament. He is the 3rd run-up in case of absences among Japanese players. Most-likely he will not participate the tournament but he will watch Tiger Woods participate that tourmament. This LA Open used to be called "Nissan LA Open" until a few years ago. The sponsor changed as soon as Nissan moved out of Carson city, a suburb of Los Angeles to Tennessee. 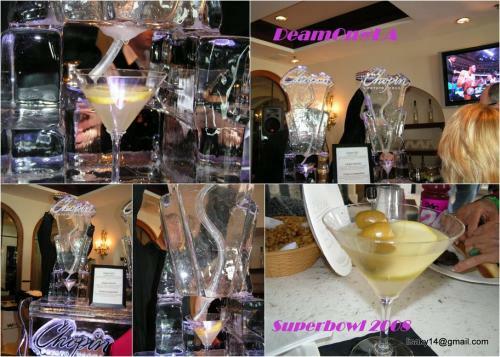 There will be a 43rd NFL Super Bowl championship game on Sunday, 2/1/2009. 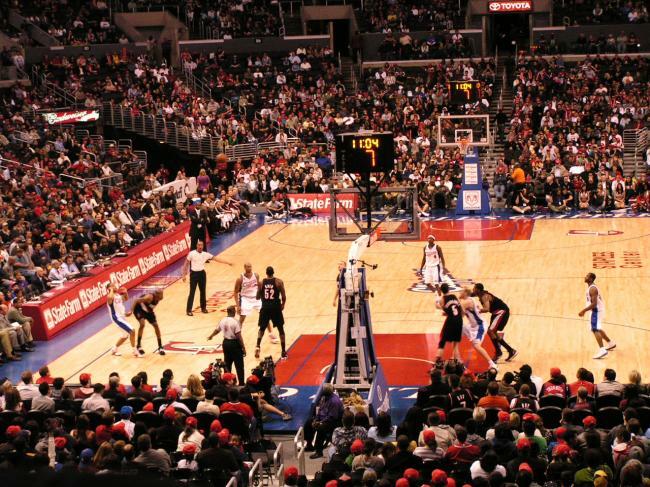 Many people gather to watch the game together and enjoy food that day across the United States. It's a day of festivity and parties all over in U.S. The two final teams will be the winners of two games to be held on Sunday, 1/18/09--A winner of a game Philadelphia vs .Arizona from 3 PM EST and a winner of a game, Baltimore vs .Pittsburgh from 6:30 PM EST. 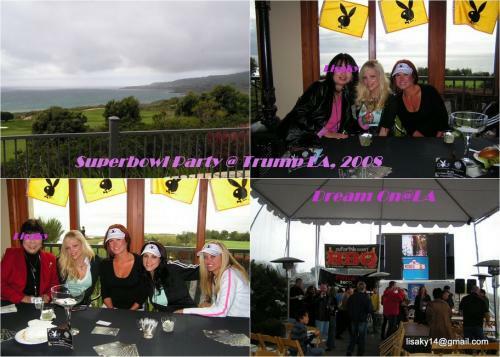 One of the largest Super Bowl party will be held at Trump National Los Angeles Golf Course. I went there last year for the first time. 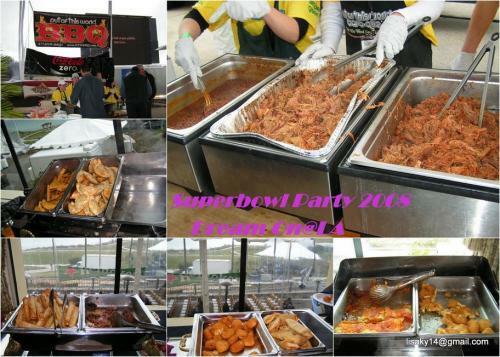 Here are some information about this year's party and photos from last year. Martini came out of a cocktail mixer made of Engraved Ice. It was well chilled and good. There were 1400 attendants, despite of rain and cold gusty wind last year. The party rooms were spread to outside patios, inside rooms in 1st floor and 2nd floor. Because there were many people, it was not easy to find a table to have seats and dine. Special VIP guests were seated at a VIP room on the 2nd floor and security guards were checking the entry. They displayed lots of Sports Memorabilia Goods with autographs of the players in the hallway near the entrance of the party. They were having a silent auction for a charity. 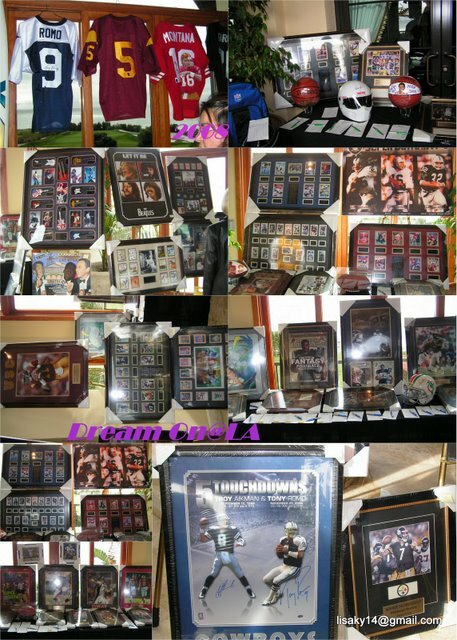 A part of displays from the silent auction at the party. 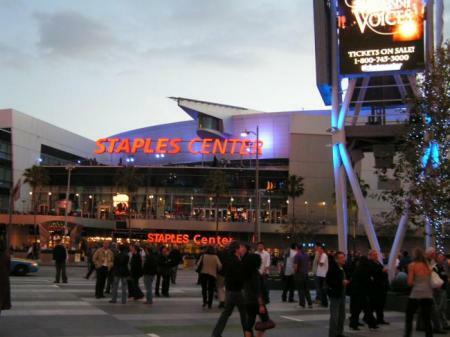 Many famous professional sports players are invited to the party. Mark, the party organizer, used to be a neighbor of my friend Y. Friend Y's son, Brad, played for a football team of USC (University of Southern California). Brad played for Philadelphia Eagles around 1987. After retiring from Philadelphia Eagles football team, Brad has been coaching Little League baseballl team. Through Brad, Mark invites famous baseball players and football players. My friend Y gets invited every year. Last year I accompanied friend Y as her guest. Photos were taken with hall-of-fame awarded famous baseball players and football players. Names of invited VIP professional sports players were printed with some blank space each on program, so I collected autographs from 11 players. Brad introduced us those players every time they passed by. I hope I will get invited to the party this year, as well. If I did not get invited I might be able to buy tickets from the first link below. SPEND SUPER SUNDAY AT TRUMP NATIONAL! Choose Trump National on February 1 for your Super Bowl Sunday plans and celebrate in style! We will feature special golf rates, all-you-can-eat buffet, a dozen big-screen tv's, giveaways, contests, and raffles! 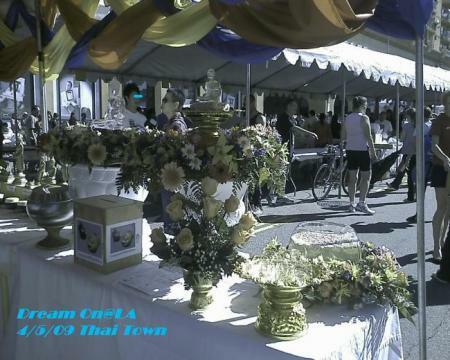 And all of this at the foremost special-event destination on the West Coast! Hello, I'm Moxie. Long time no see. I'm 5 months old. I'm excited to watch the first Super Bowl. I have not watched football games lately and don't remember player's faces and names. I know players from way past better. Even for a somebody like me, Super Bowl Sunday is a fun event. Super Bowl 43rd will be Pittsburgh against Arizona. These two teams won and advanced. 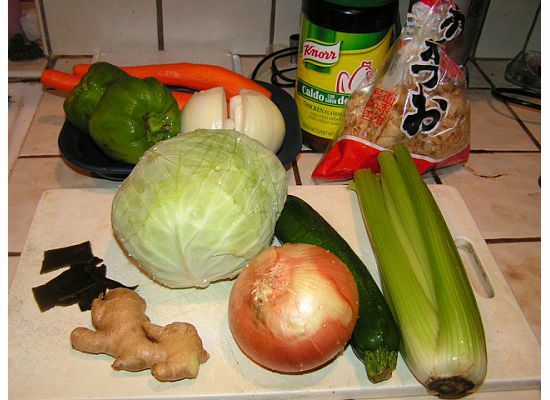 This is a spin-out of "Cabbage Soup Diet", developed in Japan. I tried this two years ago, and I lost 10 pounds in 1 week. It's time for holiday and lots of eating. I started this diet again from Sunday night. 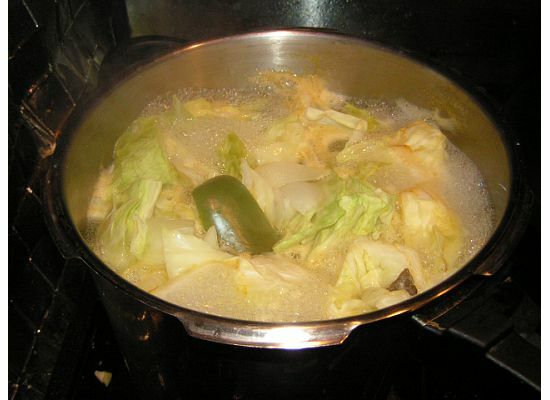 TV show, "Desparate Housewives" had a clip on "Cabbage Soup Diet" in one of the episodes about 5 years ago, too. 1) Cut out vegetables in desired sizes. 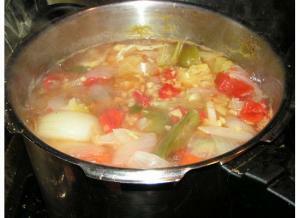 2) In a large pot, add 1 little of water, soup, and cut out vegetables, and cook in medium heat for 20 minutes. When soup water evaporates, add some water. 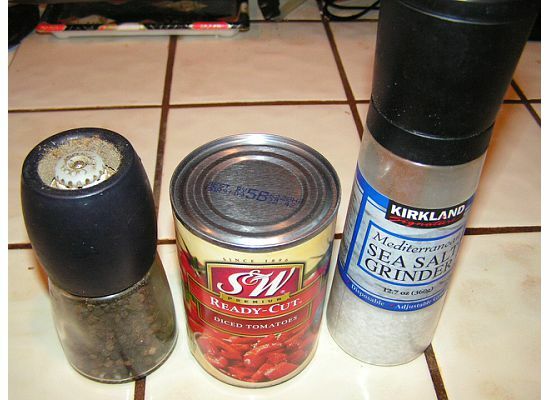 3) When vegetables get soft, season with natural sea salt and remove from the heat. Add grated fresh ginger little before serving. One serving is 68 K calories. Do not add oil or sugar. 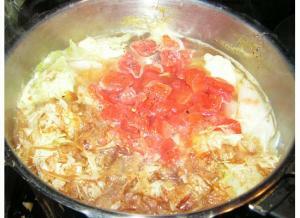 It's easier to prepare a large pot, 6 little size or larger to cook all vegetables at once. 1) Eat 1 Serving before dinner. 2) Continue to eat for 1 week. 3) You can eat until you get full. 1) Do not eat grilled fish and meat (to cut oil). Try to avoid flower and oil, such as bread, cookies, pasta, and fried foods. 2) Drink non-sugar item such as water, tea, black coffee. 3) For steamed rice, brown rice or 50 % polished rice is recommended. 4) Do not drink alcohol. 1) Curry powder: Stair Fly it on a flying pan for 1 minute and add to the soup. Curry powder had ingredients to burn fat. 2) Soy Sauce: It will increase stomach digestion. 3) Vinegar and Soy Sauce: Vinegar will suppress blood sugar, increase metabolism, reduce fatigue, increase calcium absorption. 4) Chili sauce: Capsaicin of the red paper will burn fat. 5) Miso soybean paste: It will make blood circulation smooth. It contains isoflavone to maintain body condition for women. Try this diet for 1 week. If you want to reduce weights in a short period of time, try this for 2 to 3 weeks. In general, it's recommended to do this diet once every month. On average, most people lost 4 to 9 pounds on the first week. It varies. If you continue every month, you can maintain the reduced weight. *It's better to eat fruits than snacks and sweets. 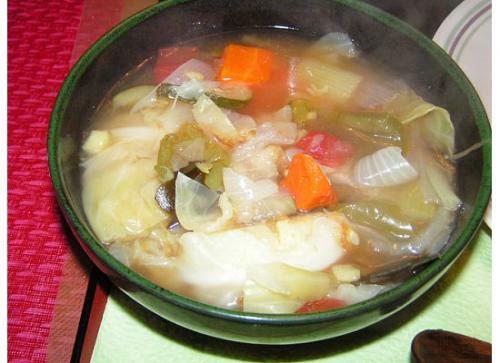 *If you avoid smoking during "7 day vegetable soup diet", you can effectively release toxins from your body. It is not easy to loose weight, if your metabolism is bad. Take it easy and try this diet program 2 or 3 times, even though you did not loose weight at first time. As your body type changes, it will get easier to loose weight. The measurement of body type change is your body temperature. When it increases by 1 C degree (about 2 F degree), your metabolism went up by 12 % and your immune system goes up by 30 %. Try to reset your body to have a normal body temperature of 36.5 C degree ( 98 F degree). 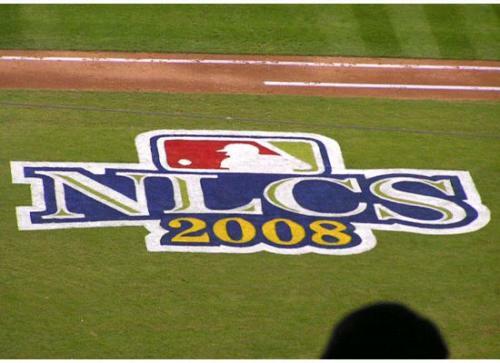 There was the 5th game of 2008 National League Conference Championship between LA Dodgers and Philadelphia Phillies on 10/15/2008 from 5:22 PM at LA Dodgers stadium. They moved to Los Angeles from Philladelphia after Philladelphia won LA Dodgers at series 2-0. LA Dodgers won at 7-2 on 10/12/08 with good pitching of Hiroki Kuroda (formerly a pitcher of Hiroshima Carps of Japan) and some home-runs of Manny Ramirez and others. 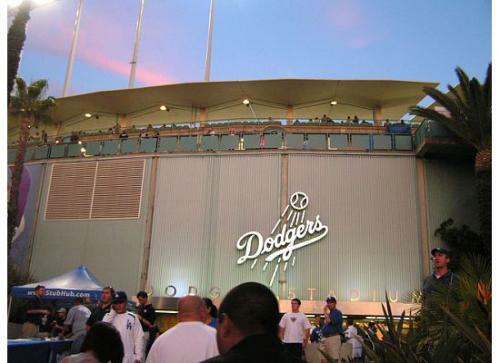 For 10/13/08 game, LA Dodgers was winning at 5-3 until the bottom of the 7th. 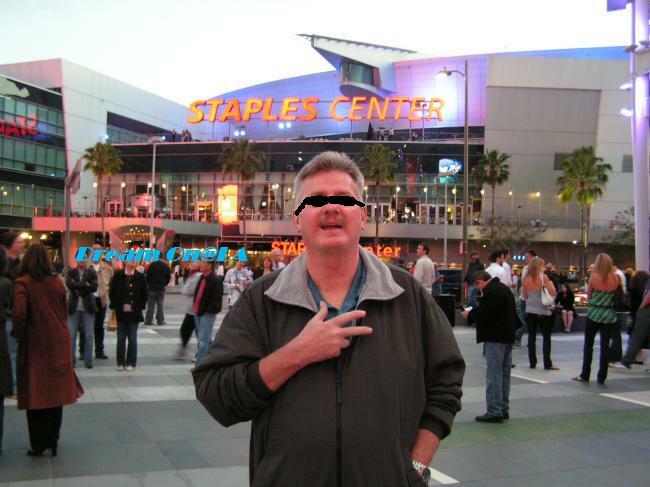 Everyone thought LA Dodgers won to tie the series at 2-2. 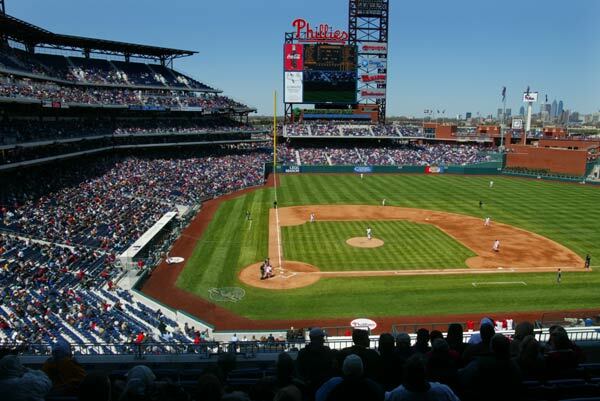 But during the top of the 8th inning, Phillies hit two 2-run home-runs, and won the game at 5-7. 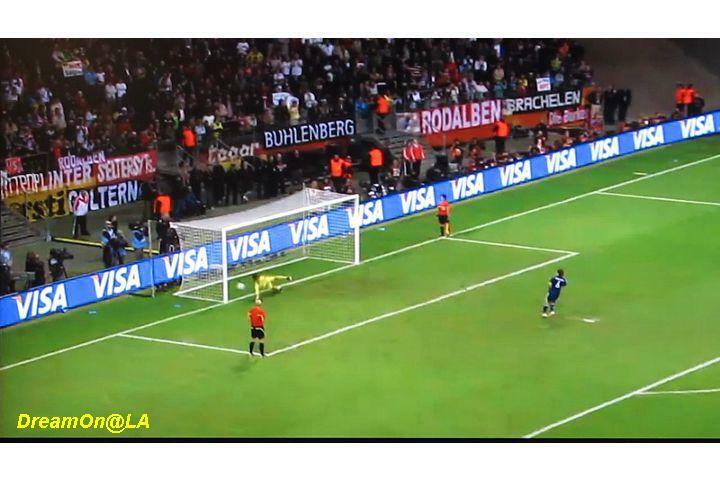 It was unbelievable! Then,it became inevitable to win the game on 10/15/08. 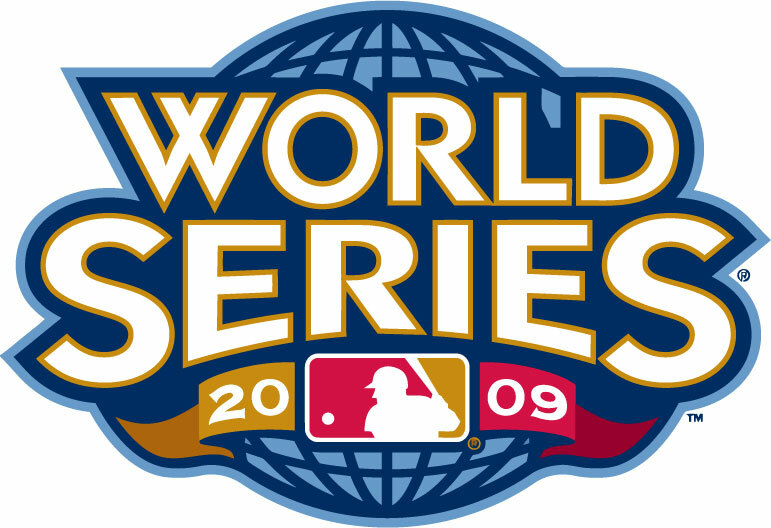 It would have been the last hope to advance to the World Series. 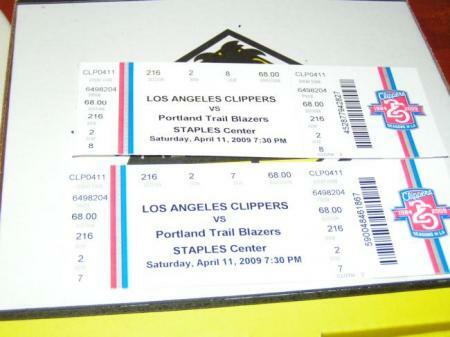 For 10/15/08 game, my coworker's husband had two extra tickets, and we were lucky to receive them. 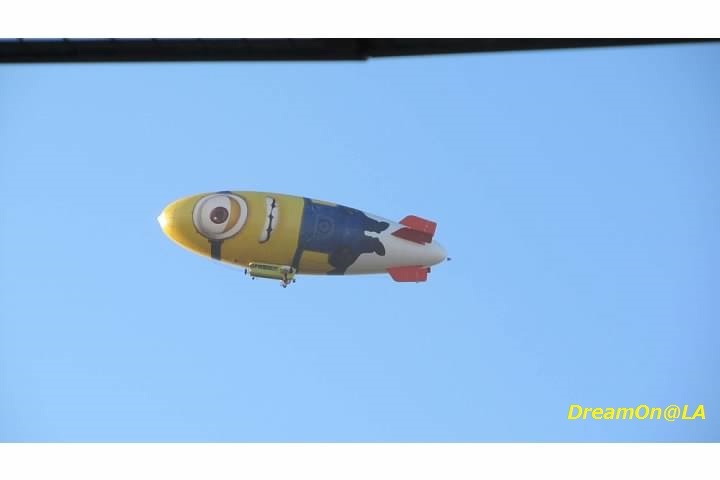 The regular price was $60 per ticket. But those tickets sold out as soon as they were on sale, and they were traded at twice or triple price with premium. 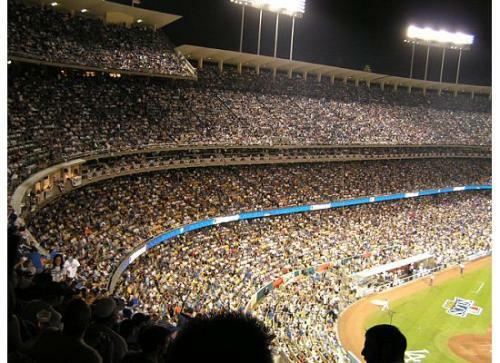 Usually LA Dodgers stadium has a crowd of 50,000 plus, but for this game, the crowd was 60,000 plus. They increased temporary seats in hall ways and etc. We made a circle and a half for over one hour in the General Parking area, but we could not find a parking spot, although we paid $15 parking fee. After all, we were instructed to park in the pathway in the General Parking area diagonally. As far as the game goes, Dodgers' short-stop made some errors. 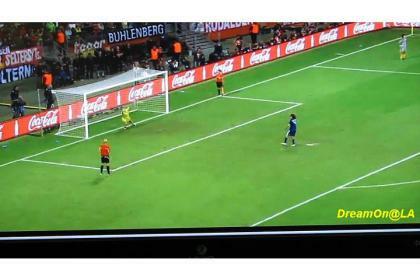 It became 0-5 from 0-3. Ramirez hit a single home-run on the 6th inning, and it became 1-5. Dodgers made some hits or walked and advanced to the 2nd or 3rd base, but they could not score. They lost at 1-5. 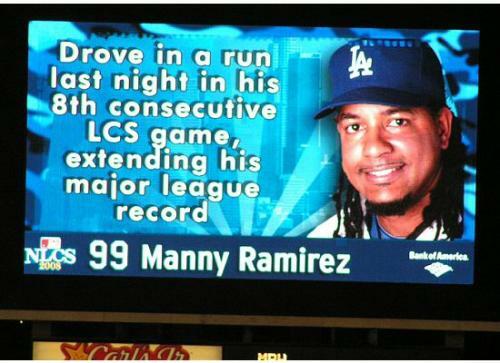 If there was another home-run hitter besides Manny Ramirez, they could have turn it around. The stadium is full of enthusiasm with cheering fans. Several of them keep standing up to cheer the players. 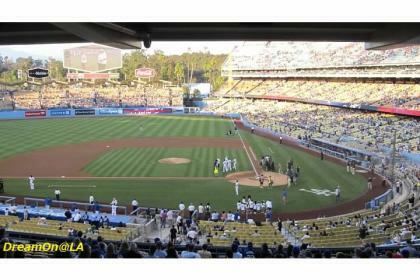 They were waving Dodgers towel that was handed to the first 50,000 audience. 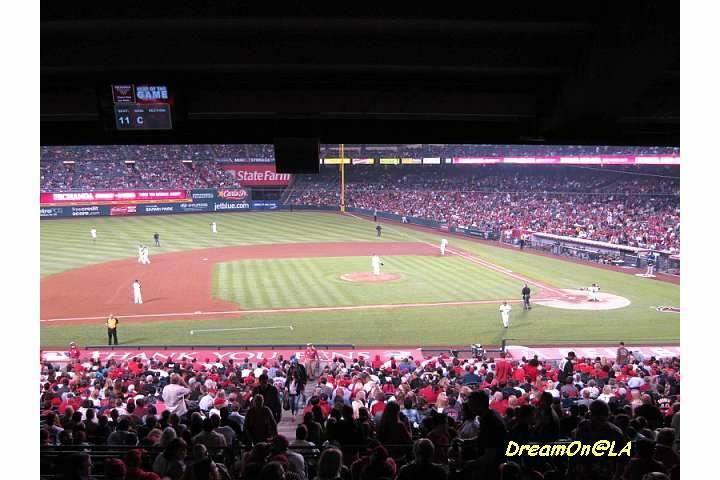 You cannot experience the atmosphere and energy of being a fan of a team unless you go to a stadium. 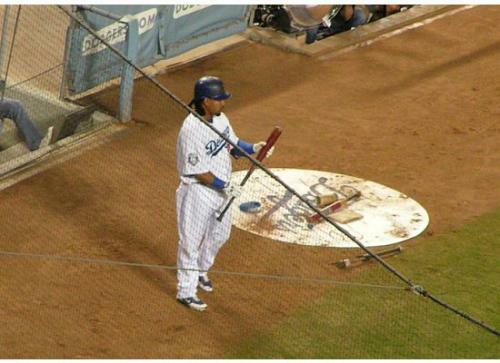 Thanks to Manny Ramirez who was transferred from Boston Red Sox team at the end of July, LA Dodgers was able to clinch the National League Western Conference championship title and advanced very close to the World Series. Thanks for giving us dreams, Dodgers. Rest Well and We look Forward to Next Year. Finally we were seated at Section 8RS, Row R, Seat 21 and 22. These are the views from the seats. 99 Manny Ramirez He is a home-run batter. He was very good. 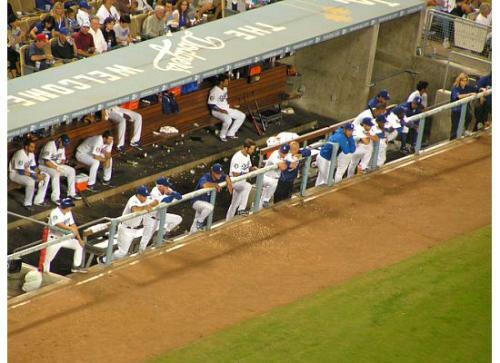 Dodgers team bench on the 3rd base side. They are cheering others to hit. The guy with a blue jacket on the right side seems to be Hiroki Kuroda, a Japanese pitcher. 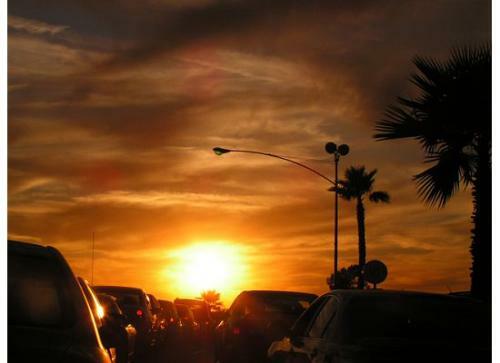 When we were stuck and making a round in the general parking area, we saw a beautiful sunset.